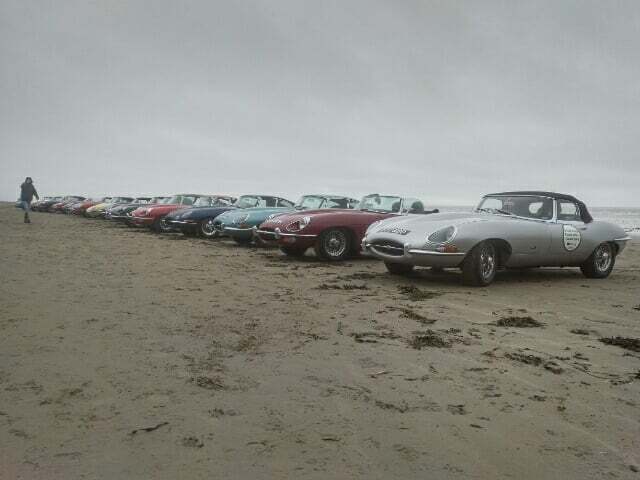 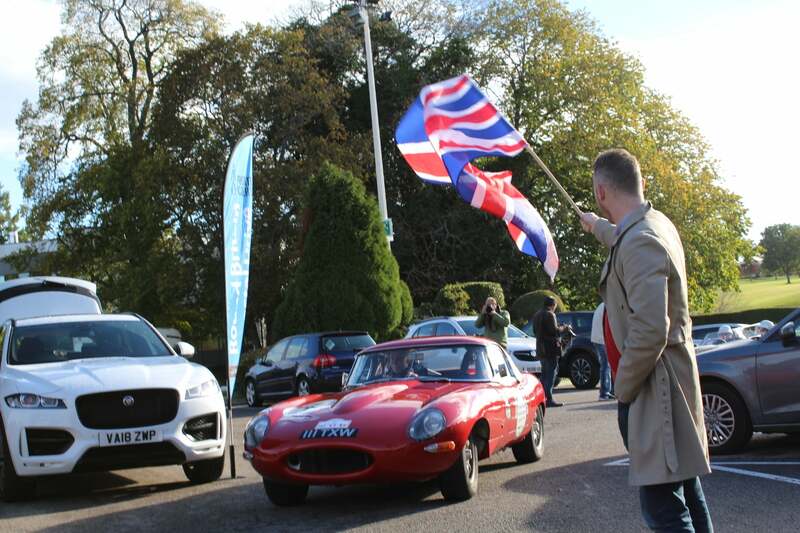 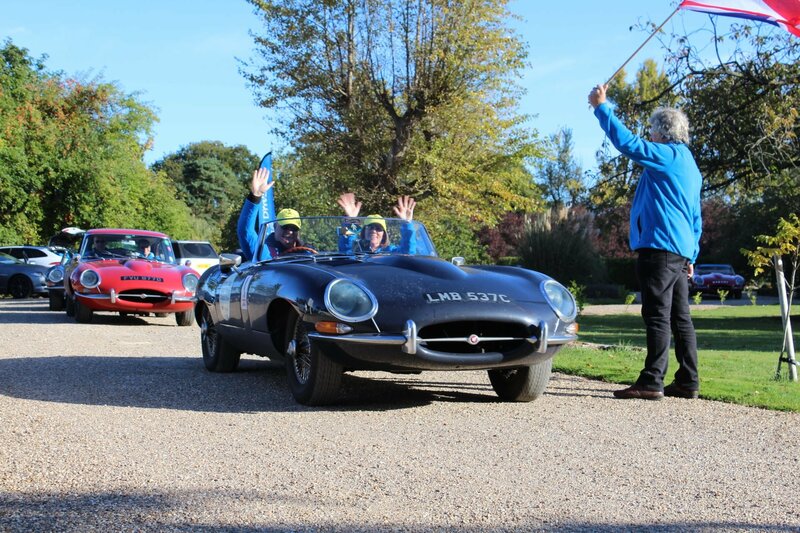 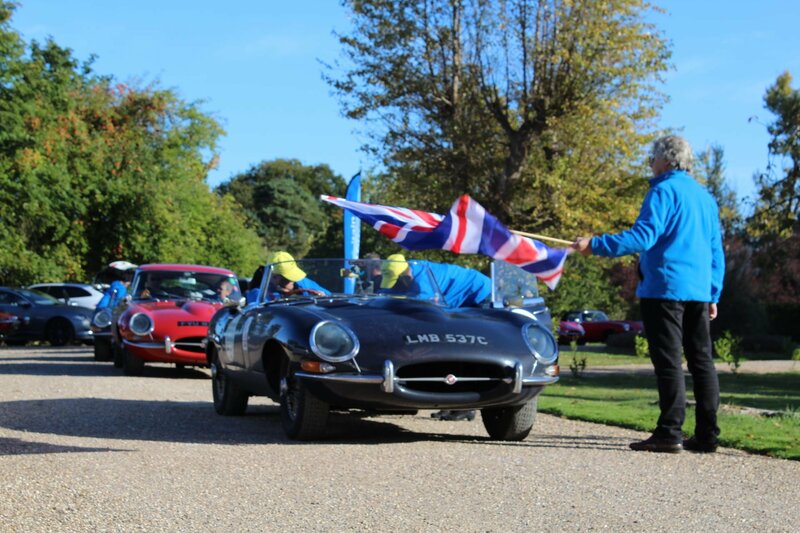 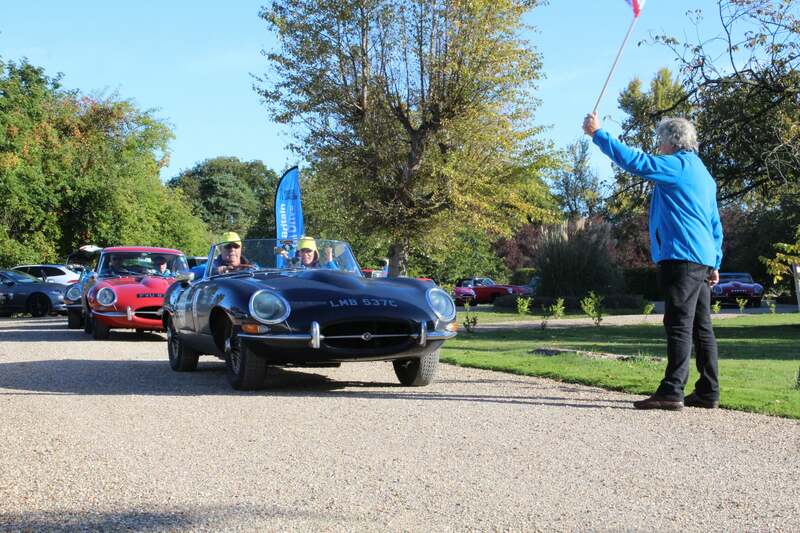 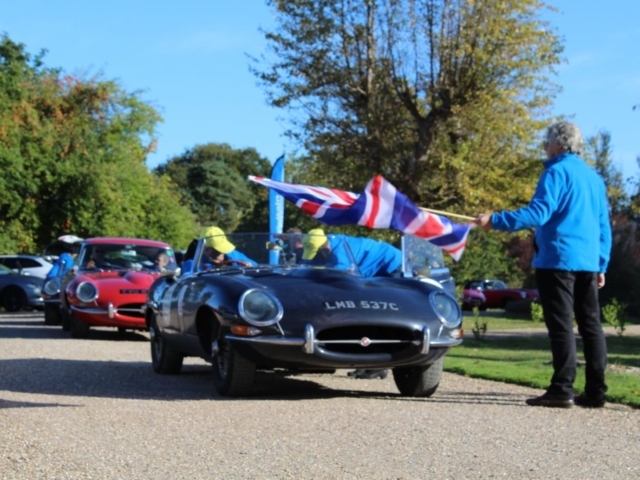 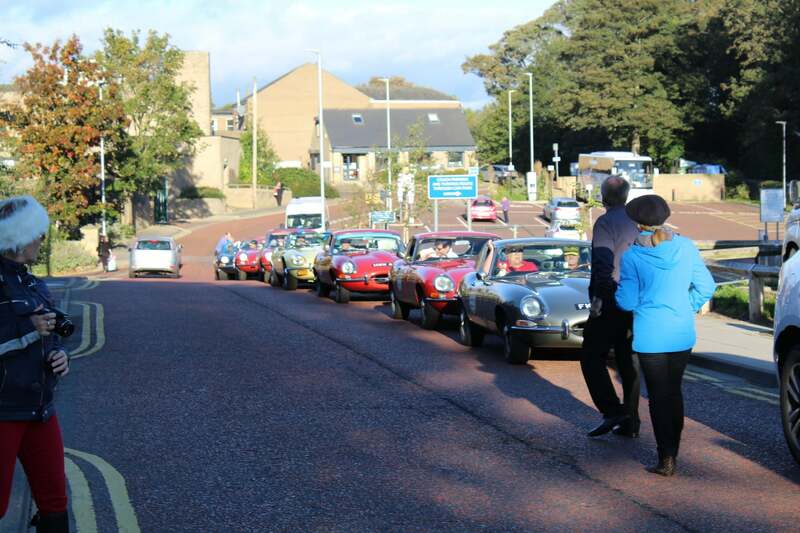 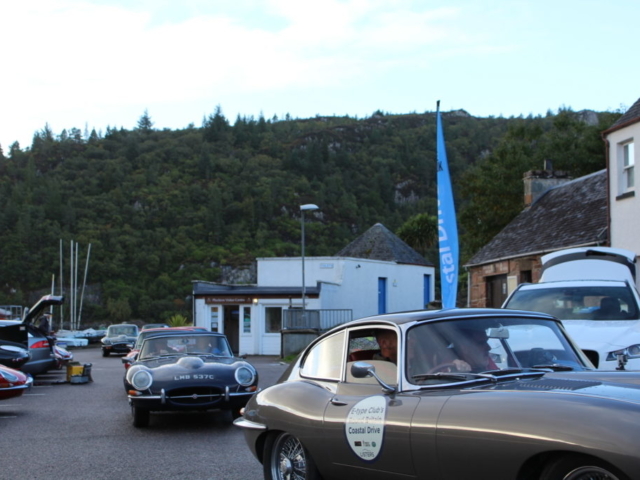 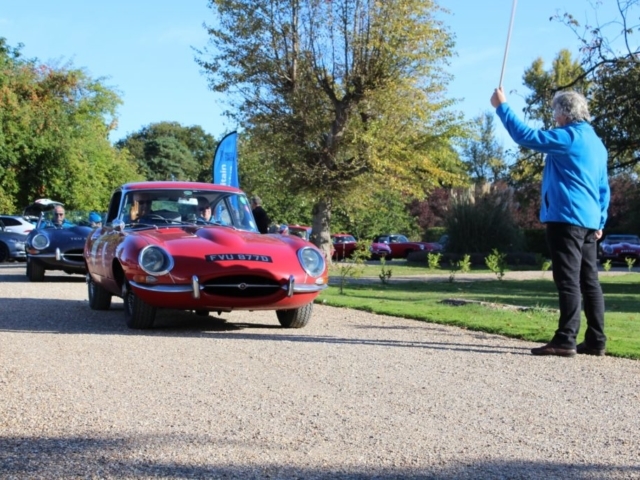 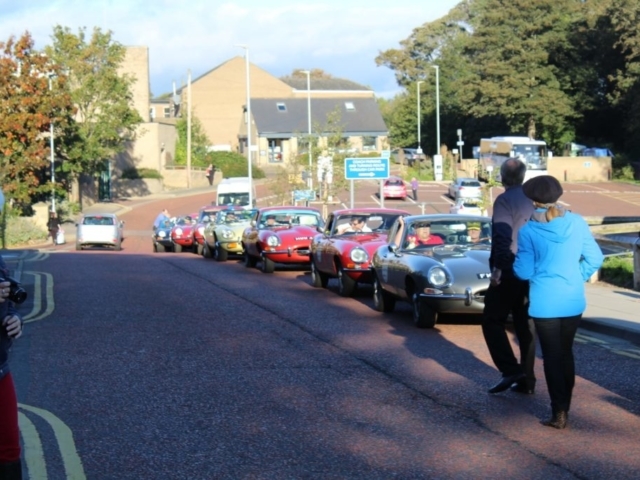 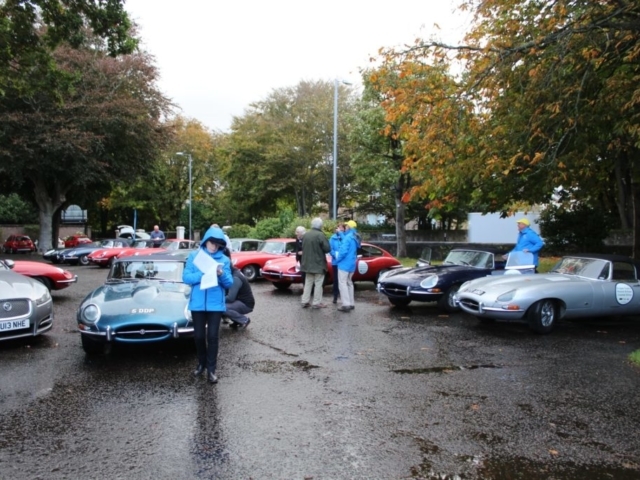 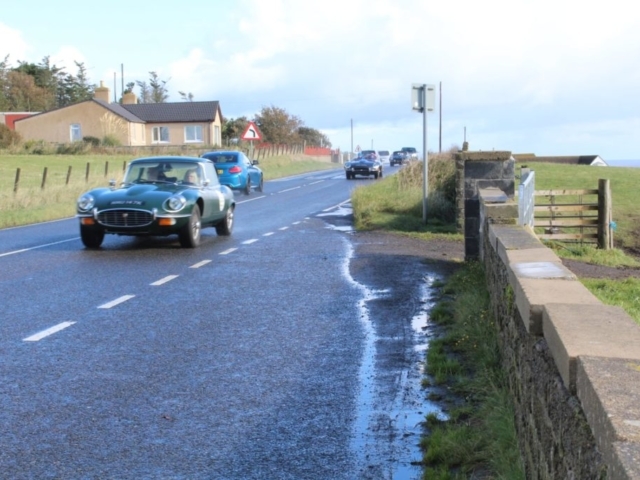 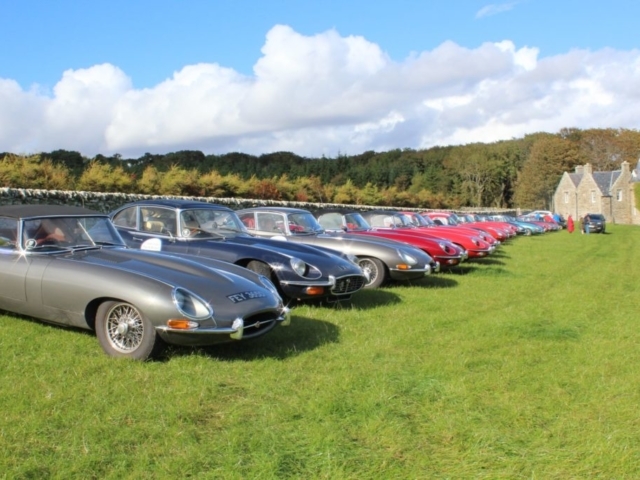 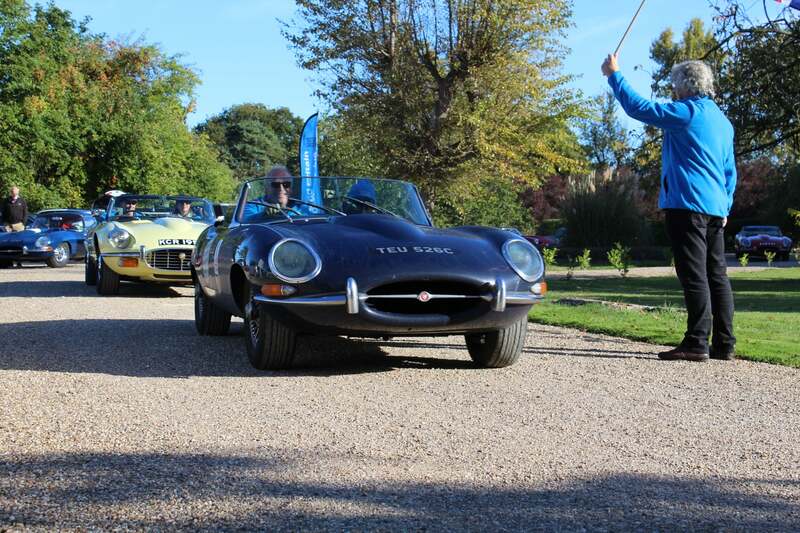 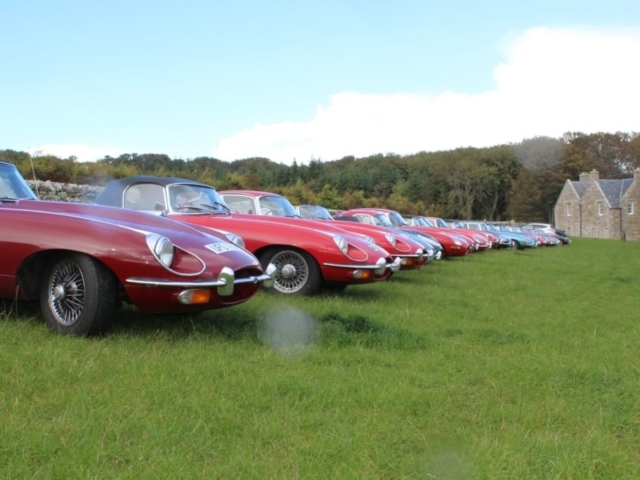 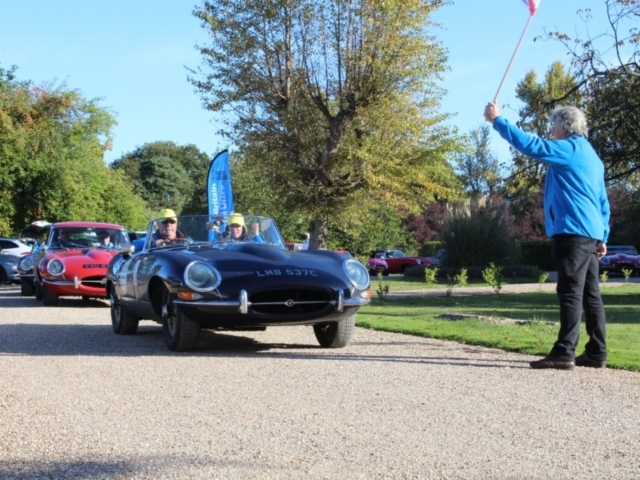 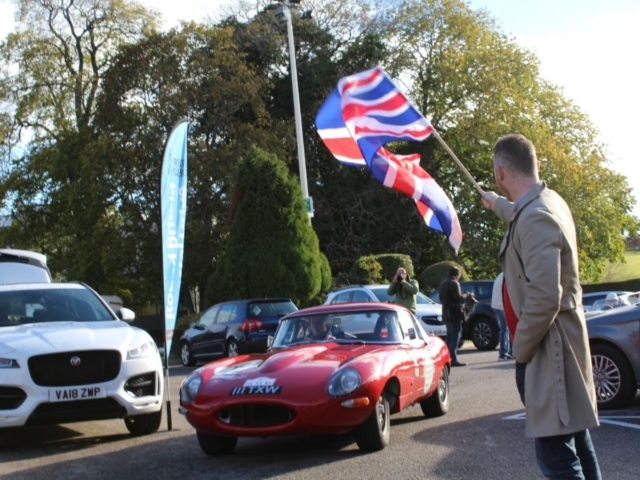 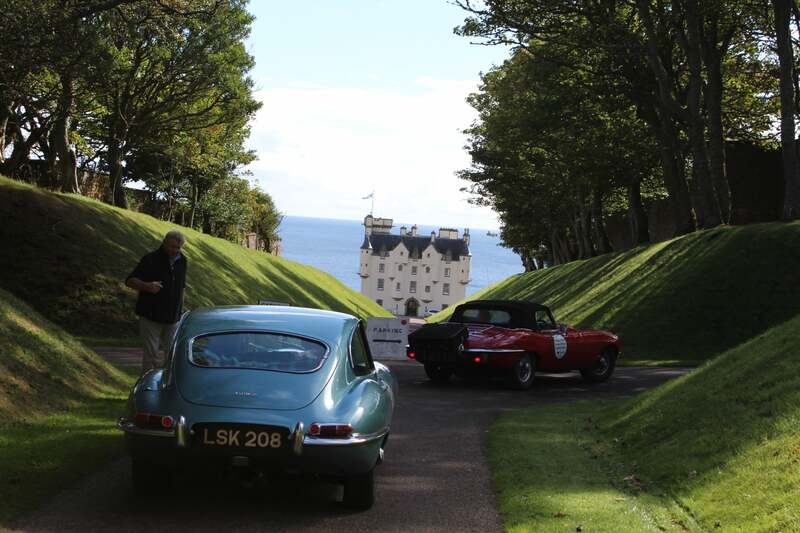 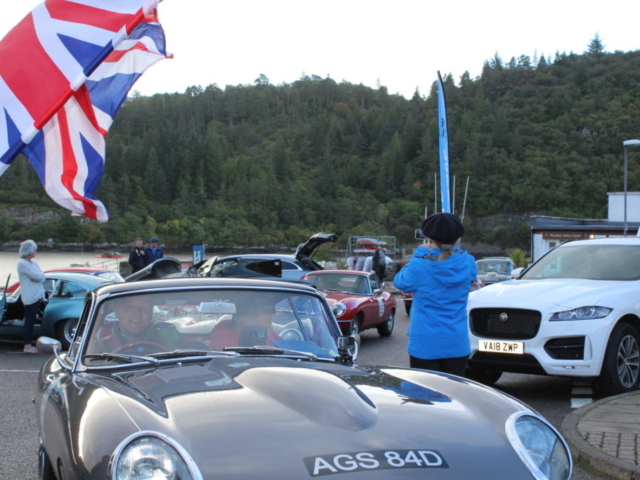 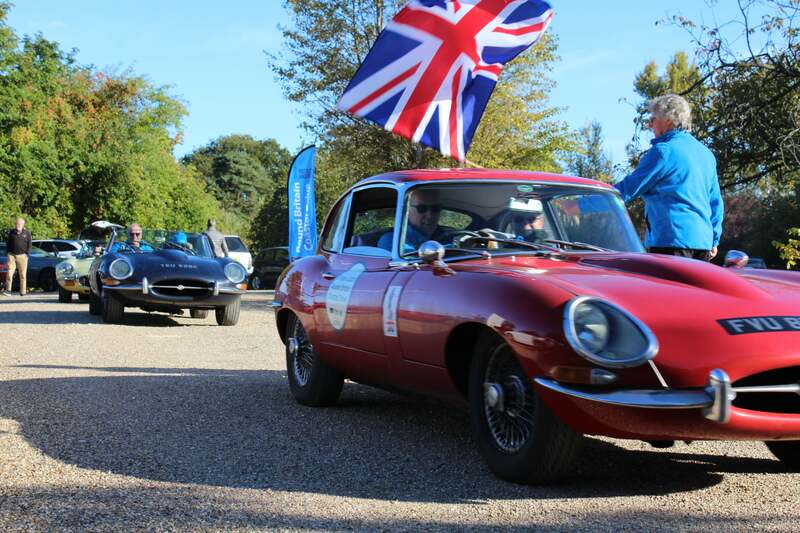 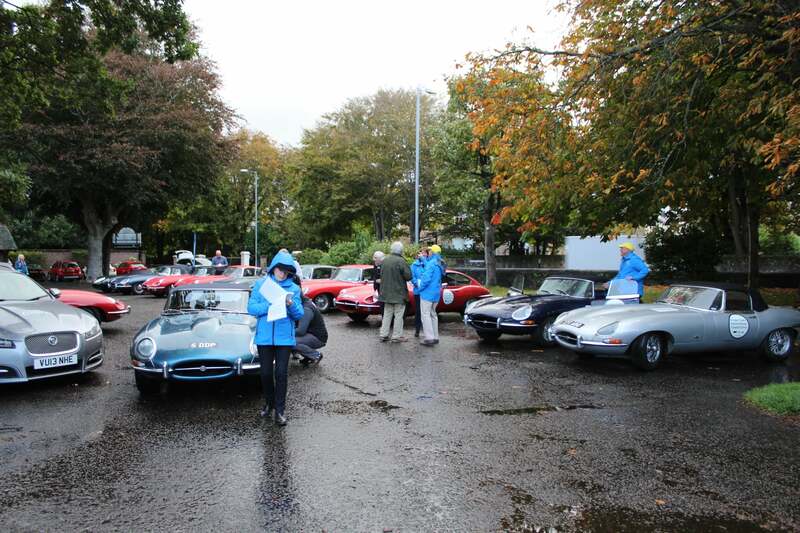 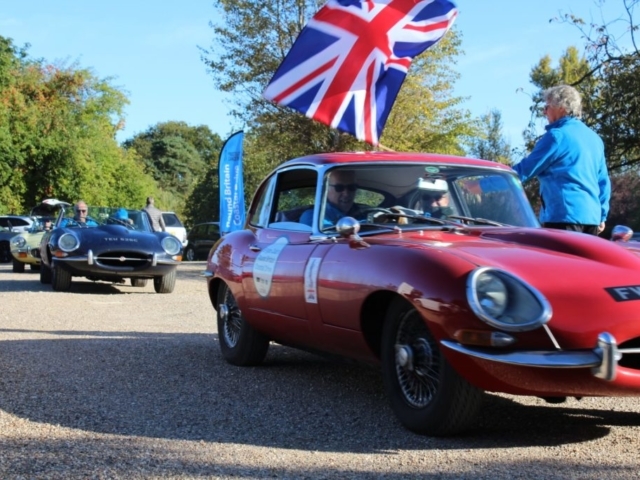 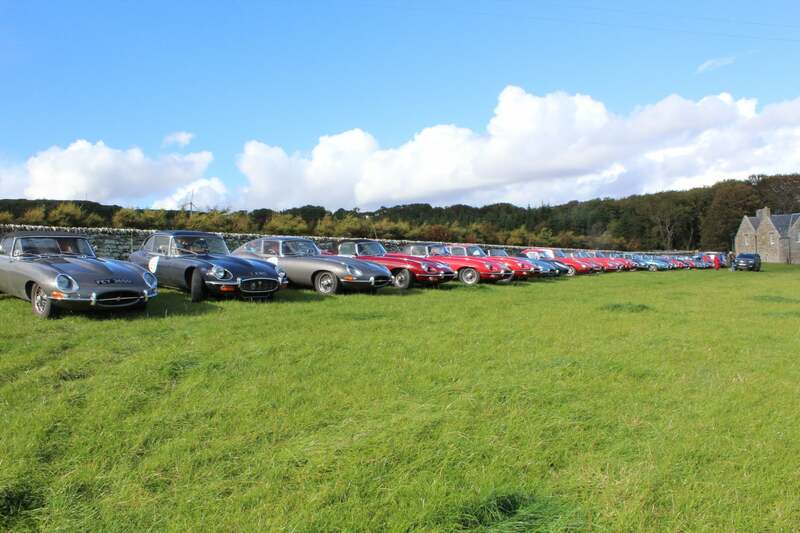 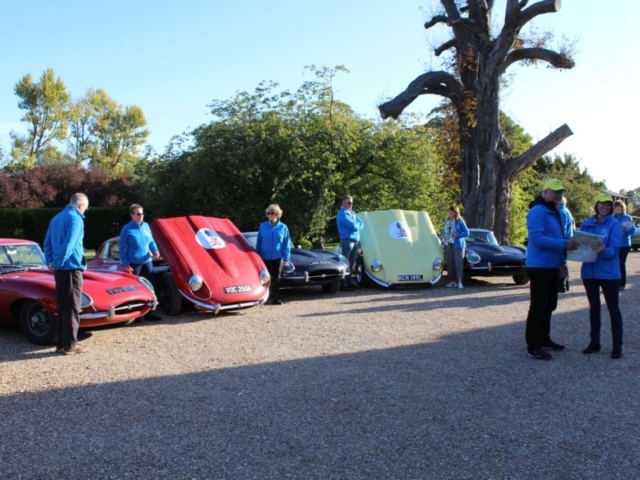 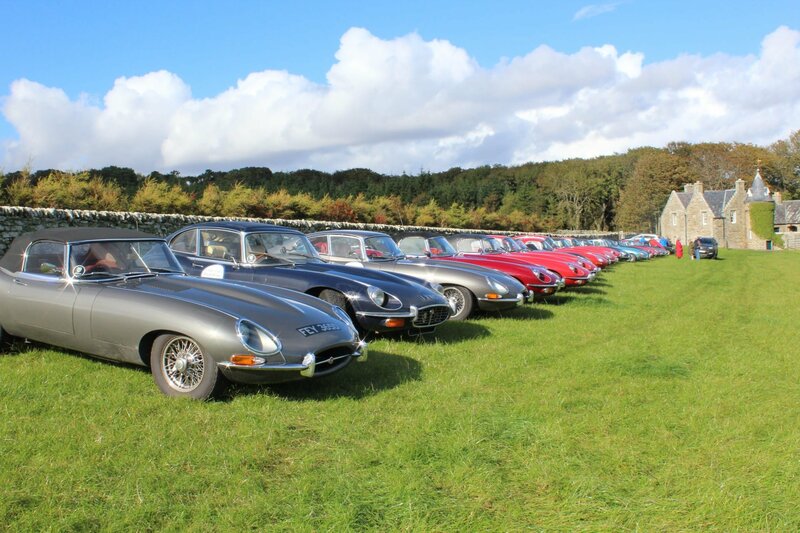 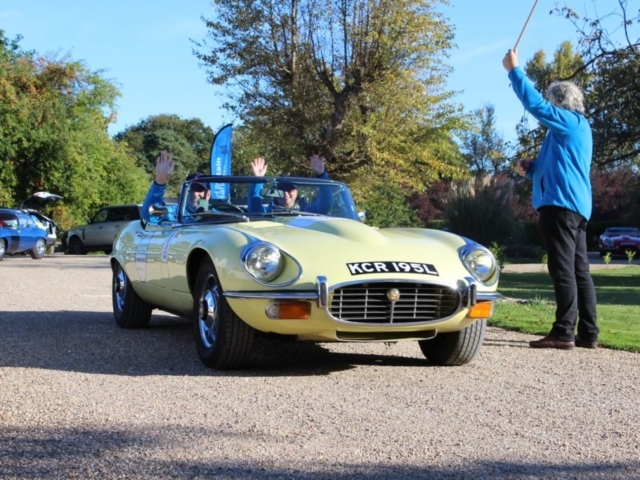 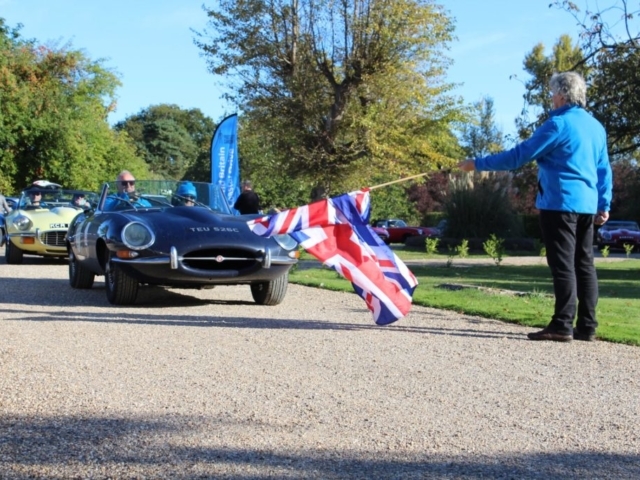 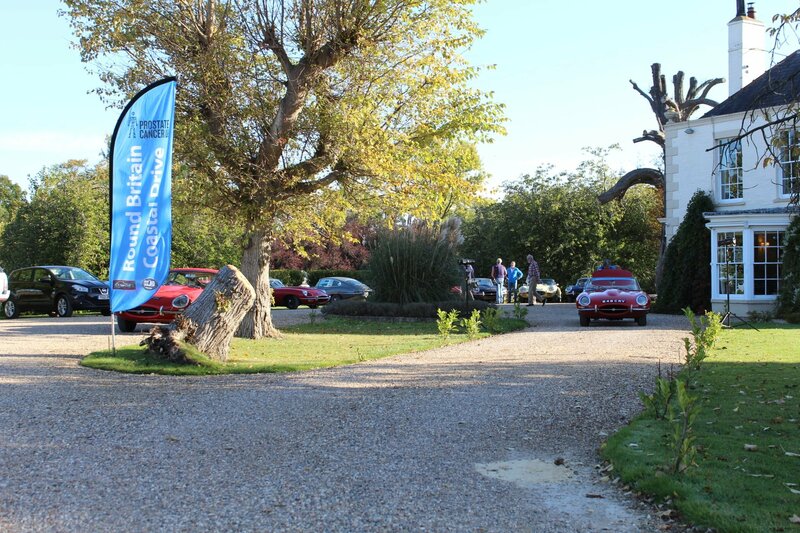 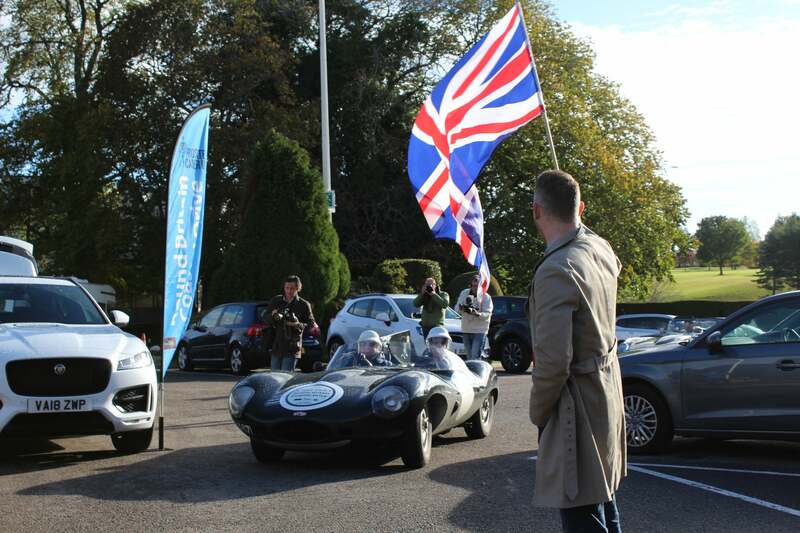 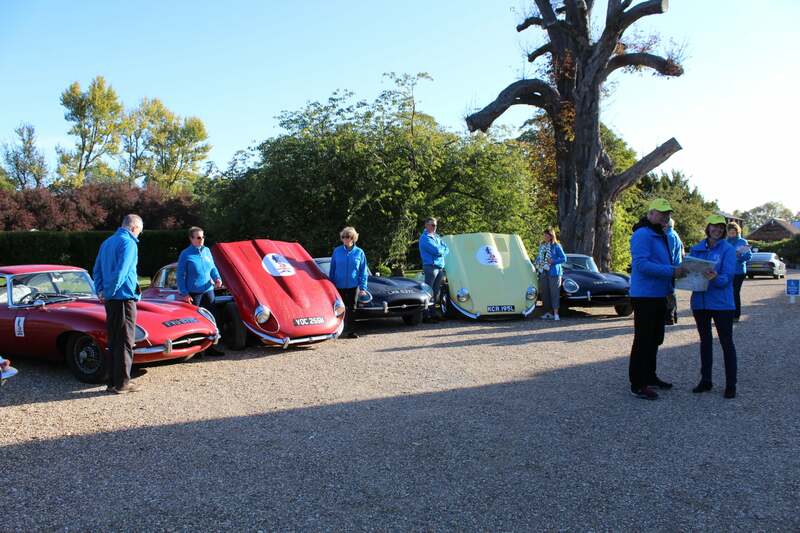 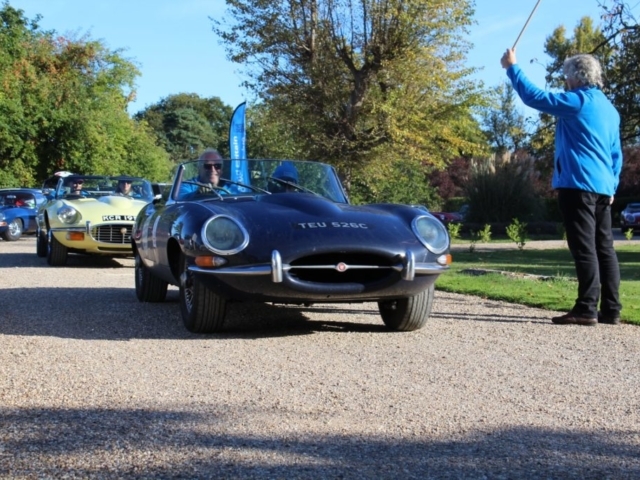 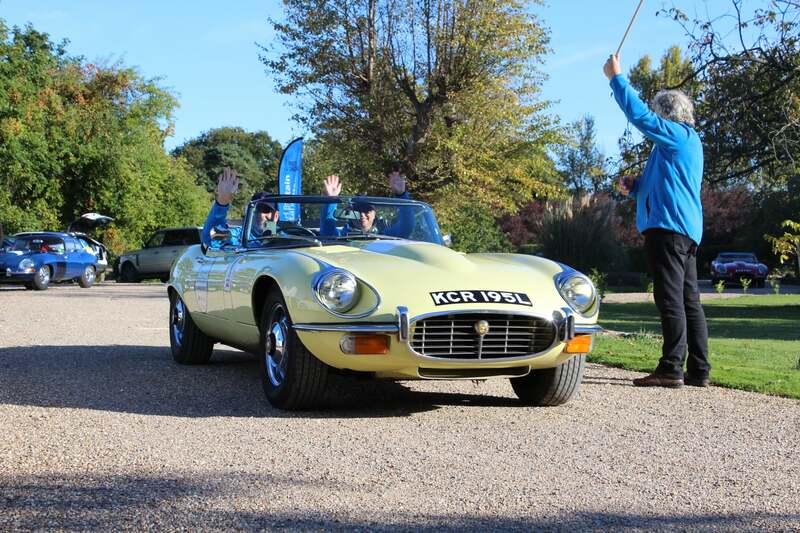 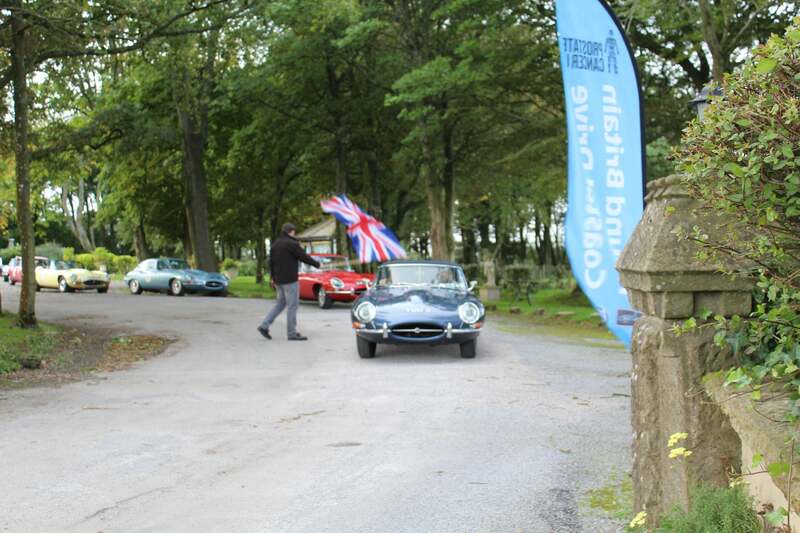 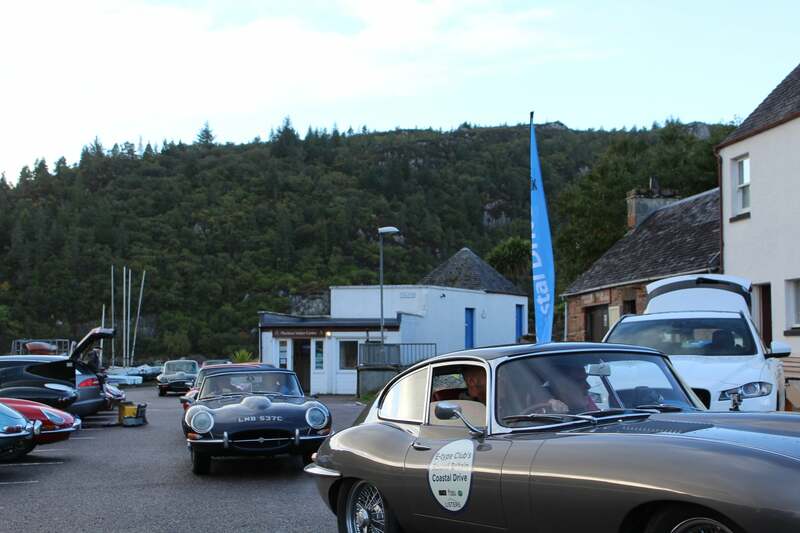 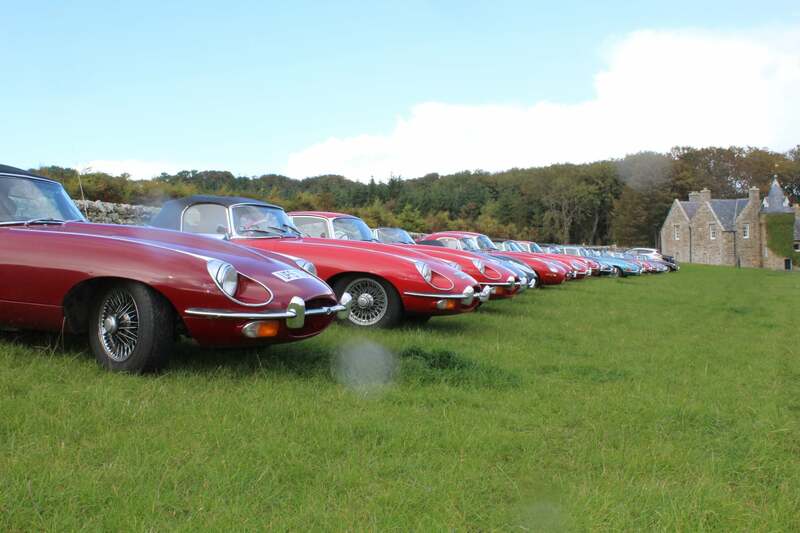 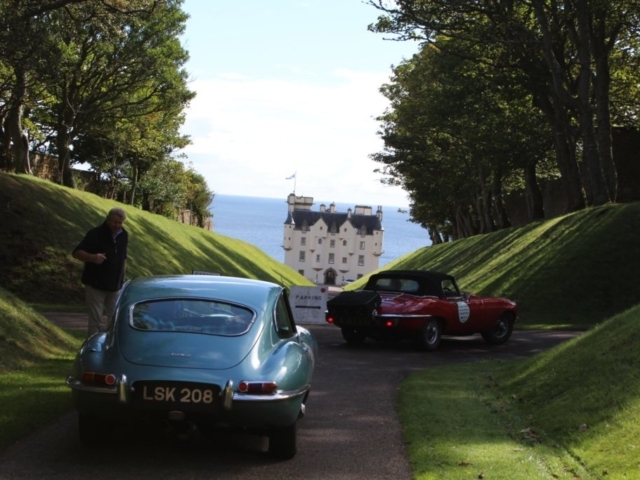 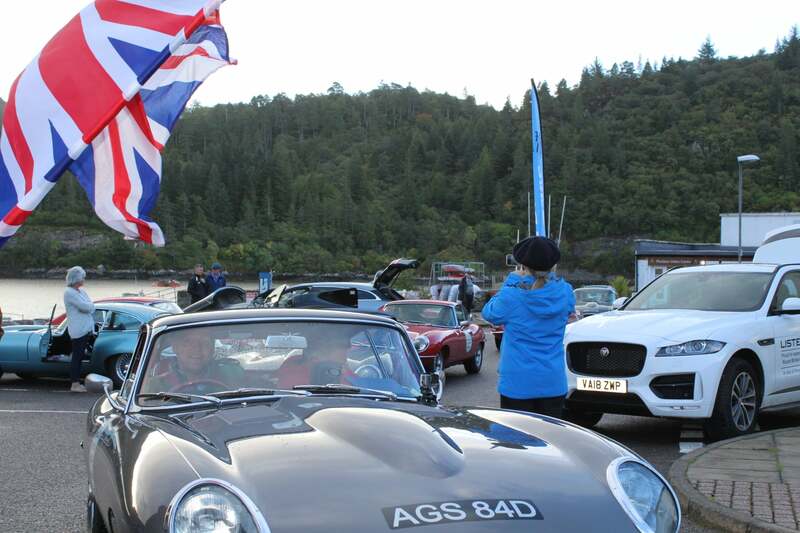 On a cold grey and wet Monday morning in September the 2018 e-Type Round Britain Coastal Tour began. 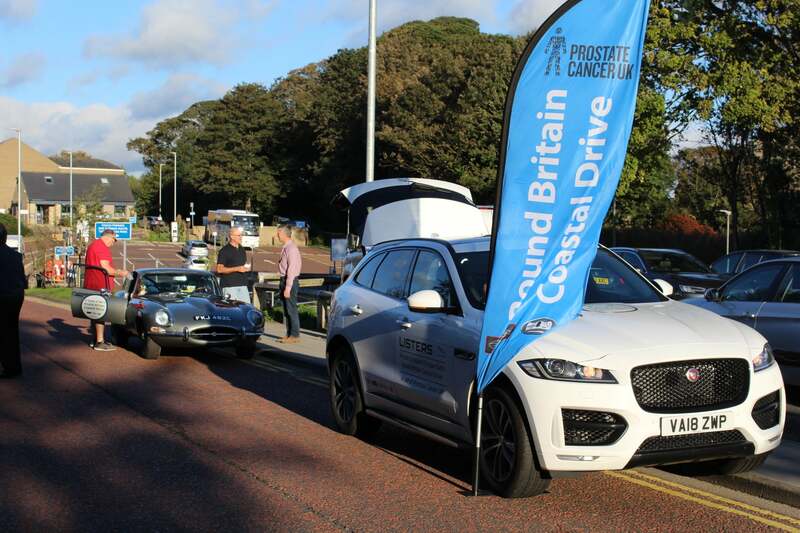 This year they are looking to raise over £70,000.00 for prostate cancer improving on the totals raised in both 2016 and 2017. 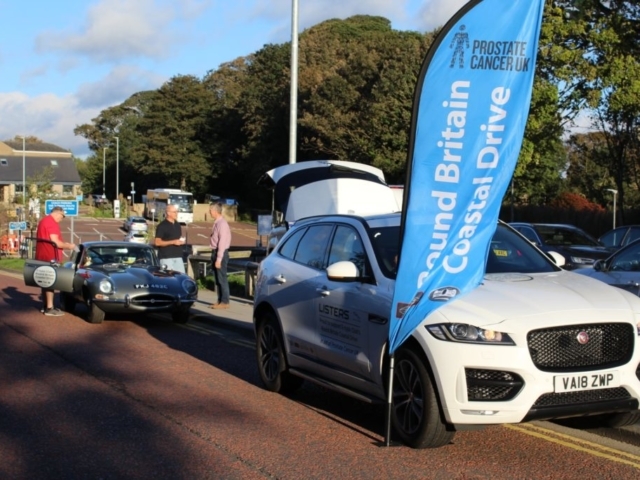 Our man Andy Waters joined Pete Stant from https://www.sngbarratt.com/uk/ to support the start of the tour and is today (19th Sept) heading up the M6 to take over as official tour mechanic from Workington in Cumbria all the way around to Beverley in Yorkshire on the 27th Sept.
We will be updating our website with stories and pictures from the tour regularly (Internet Permitting) over the next couple of weeks. 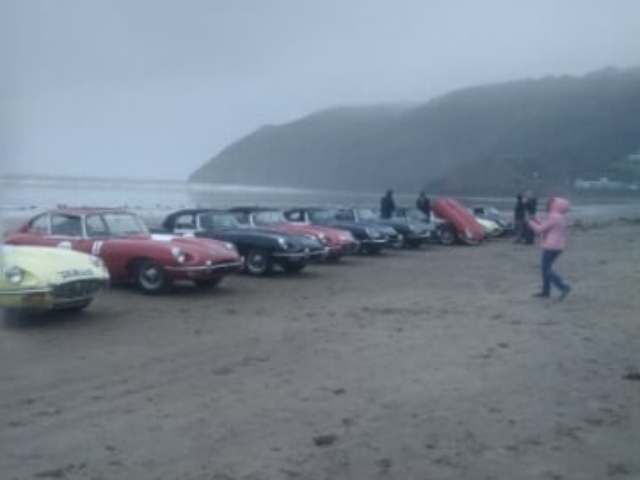 Our man Andy attended the start at Pendine Sands to help out Peter Stant of SNG Barrett and, with 2 breakdowns before the start, found himself immediately on call with a red series 1 that was experiencing charging issues, after investigation Andy discovered that the trigger wire to the alternator had been attached to the wrong terminal. 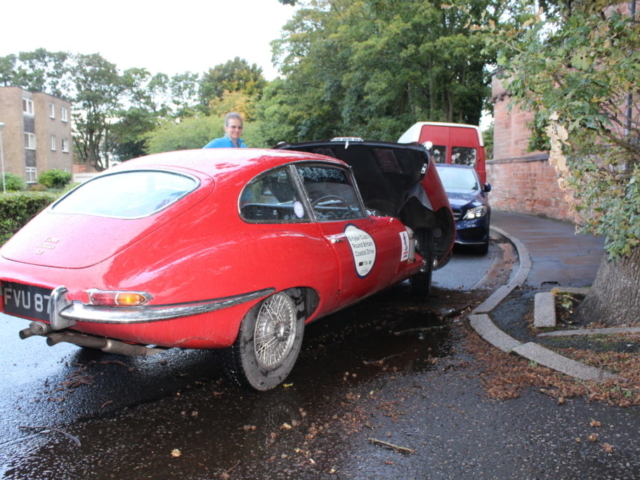 luckily for the owner the problem was easily fixed and they were able to set off with the rest of the tour. 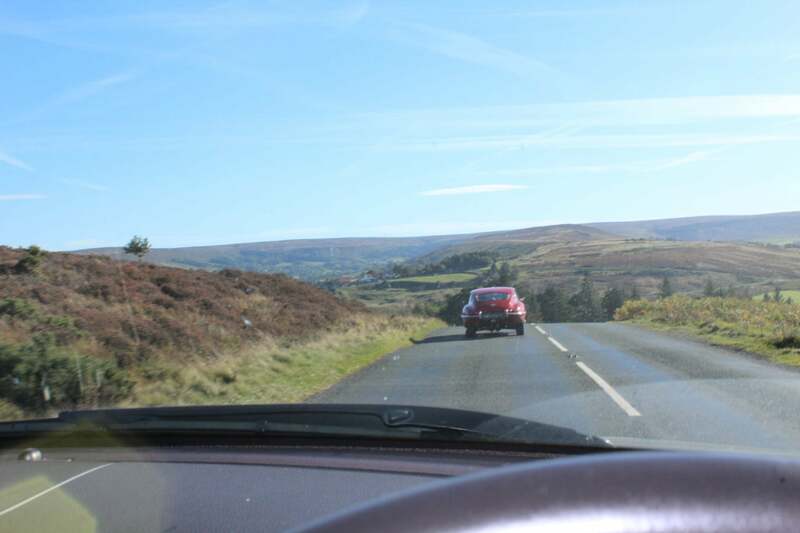 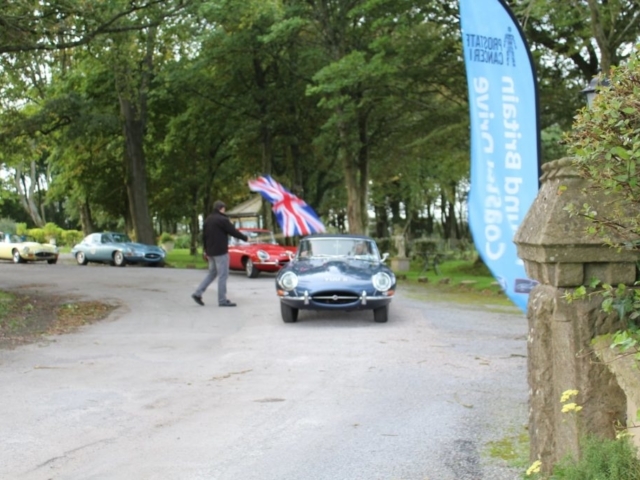 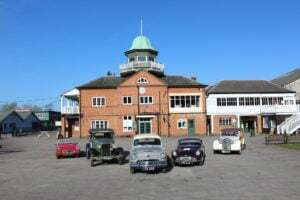 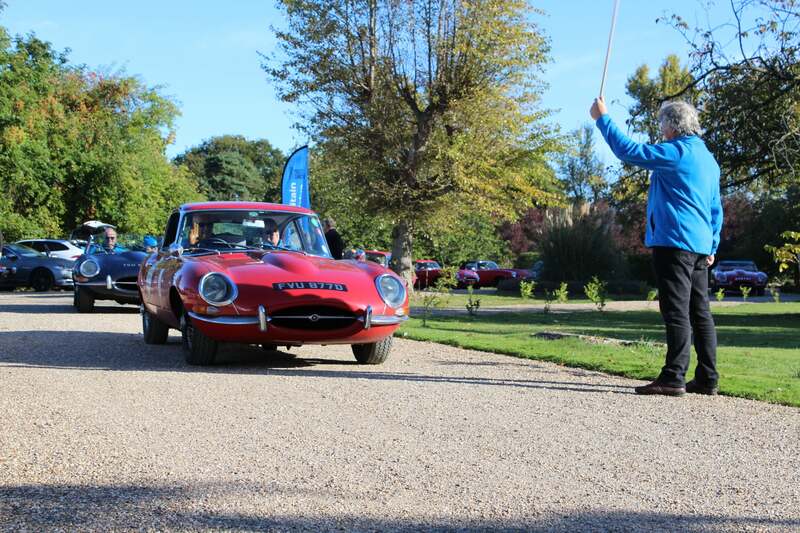 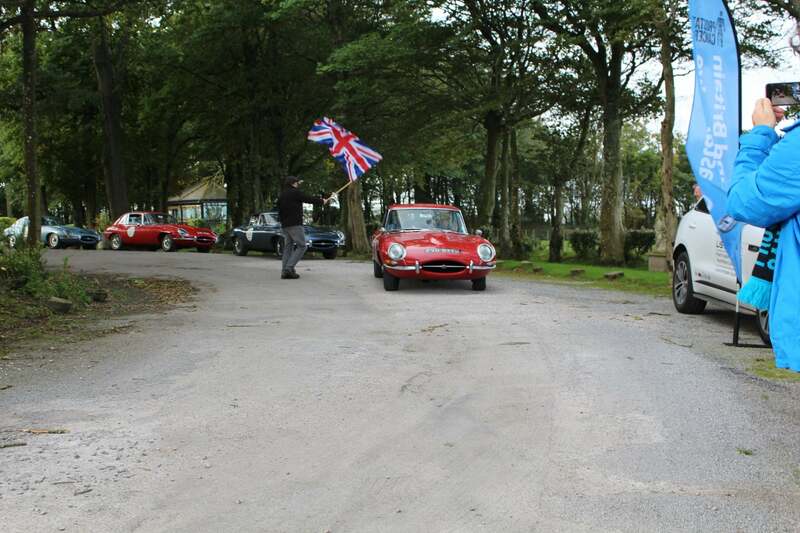 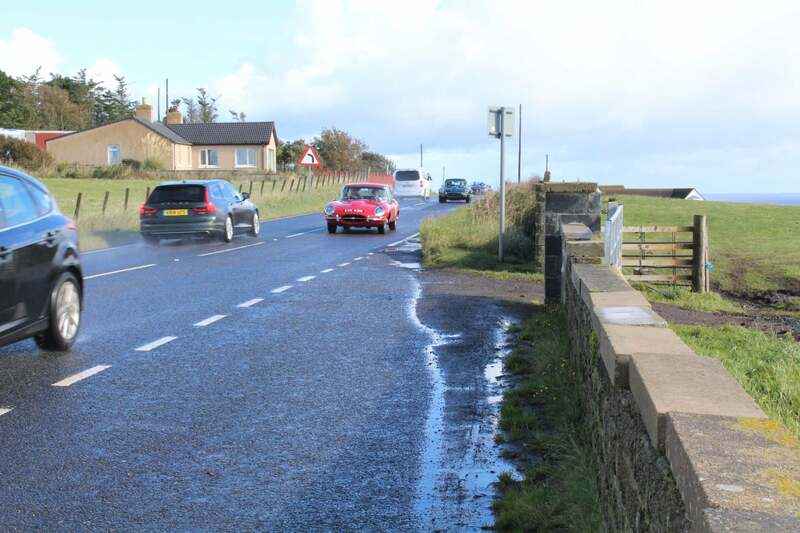 Peter also managed to fix his temperamental vehicle and so all cars made the start. 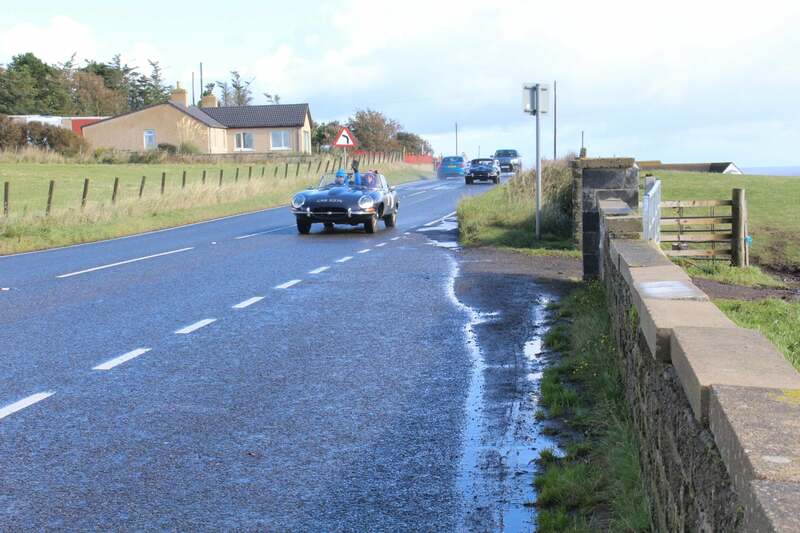 Andy decided to follow the tour and help Peter for a while to ensure everyone got away ok. About 10 miles in they caught up with ‘Primrose’ a series 1.5 that had locked the near side front wheel, upon inspection it became immediately apparent that the wheel bearing had collapsed, unfortunately there was nothing that could be done at the side of the road and so it was a lonely wait for the AA and the end of the tour for ‘Primrose’ after only 10 miles. 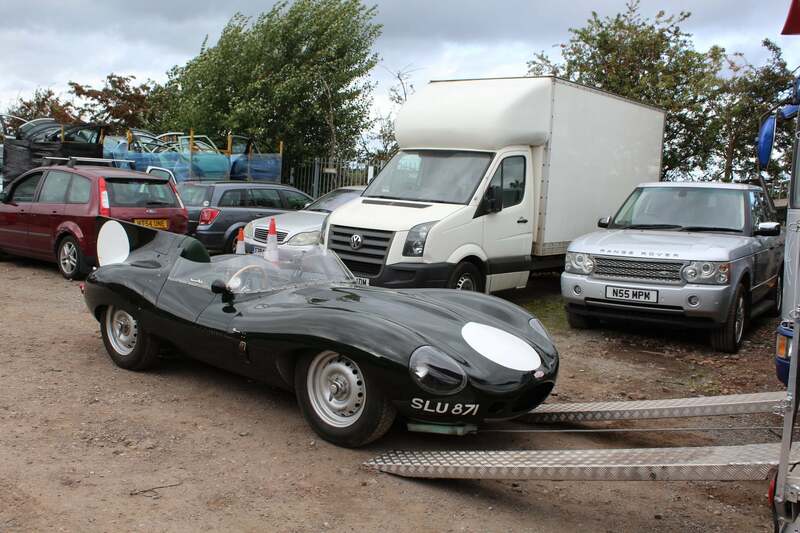 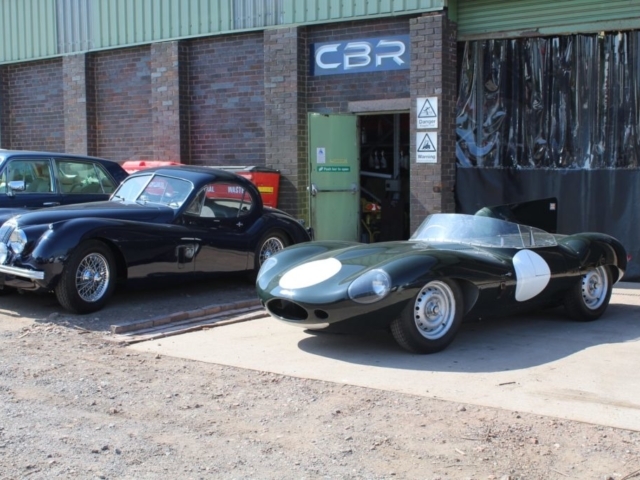 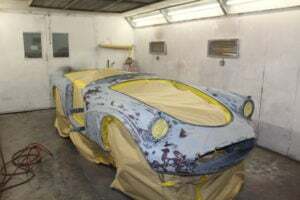 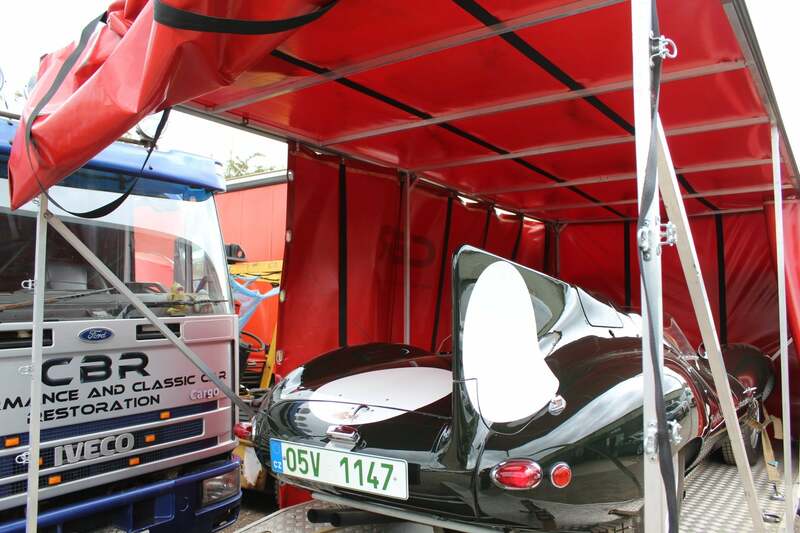 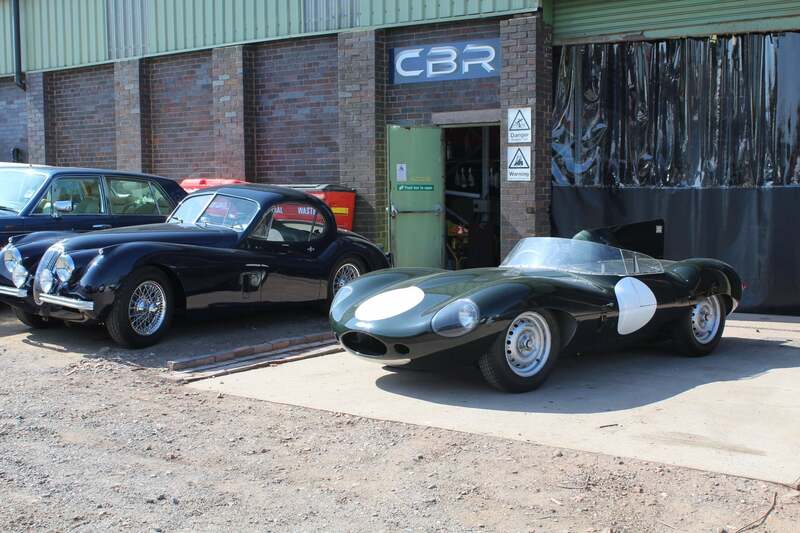 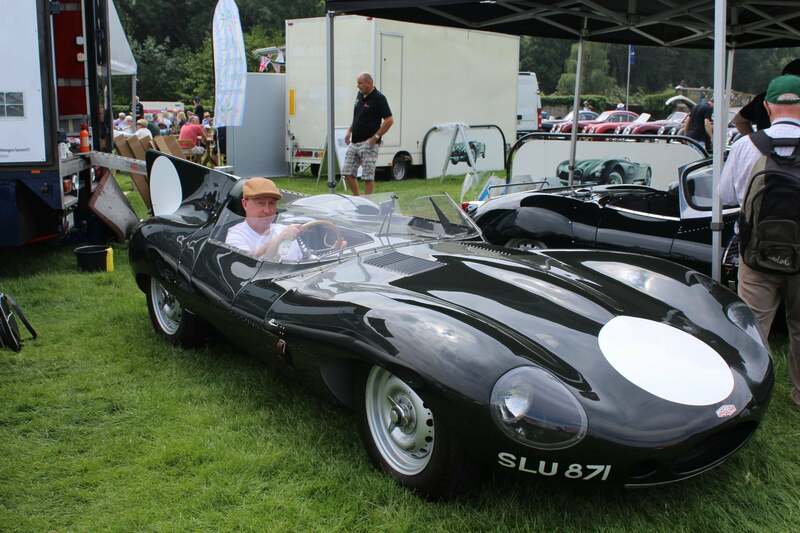 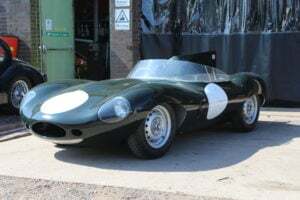 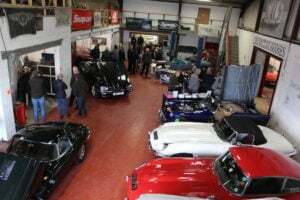 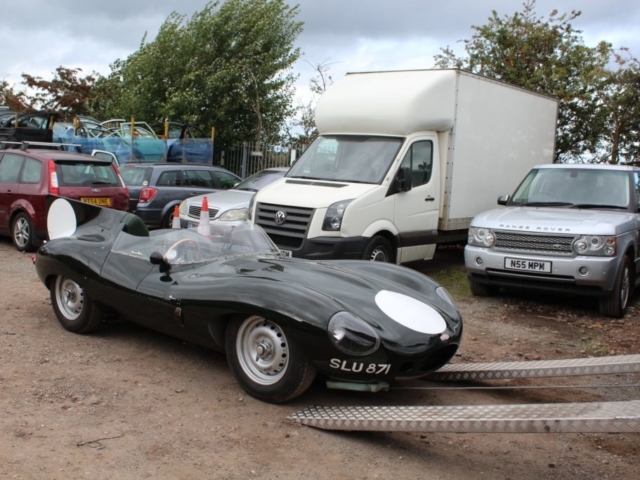 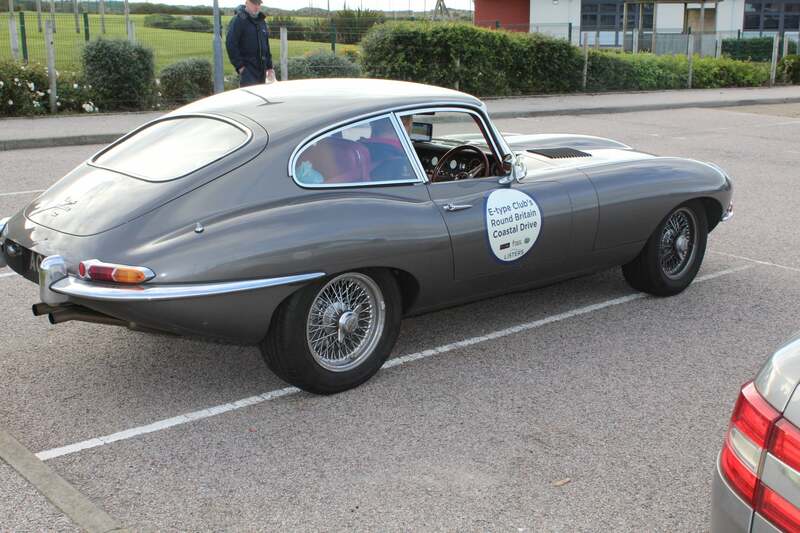 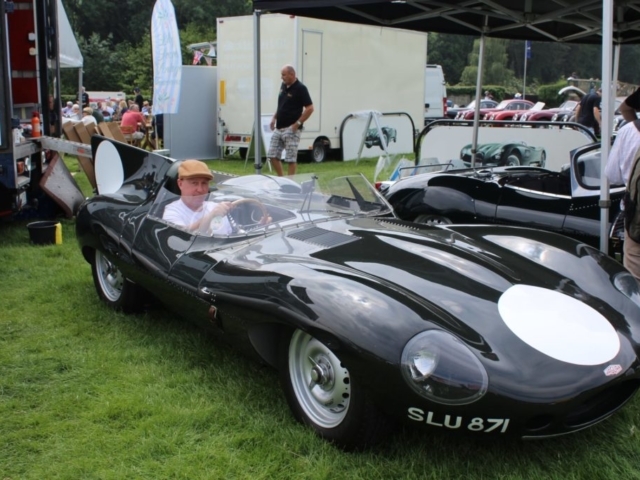 On Wednesday 19th Andy left our premises at 6am in a covered transporter carrying a very beautiful Jaguar D Type to Workington for our American customer Art who has flown over and will be joining the tour from there round to Edinburgh. 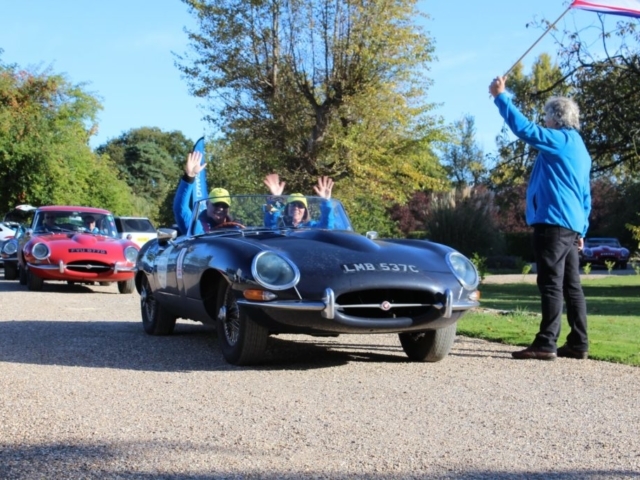 He had dropped the vehicle off for us to check everything over and make sure it would make the run without any problems and then bring it up to the tour for him. 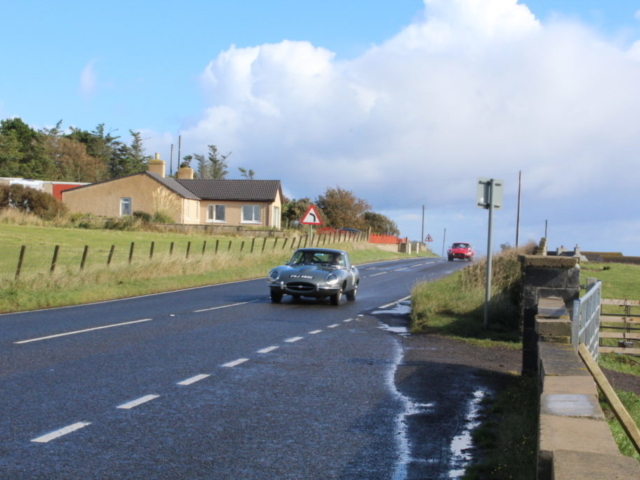 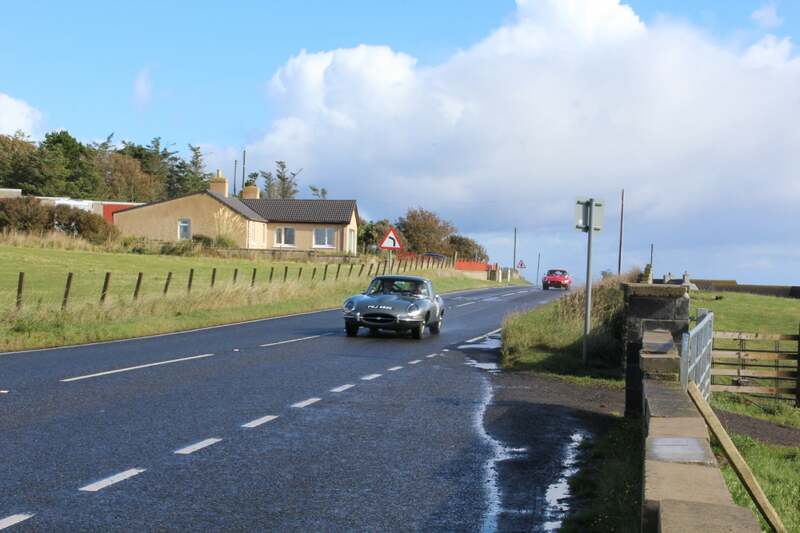 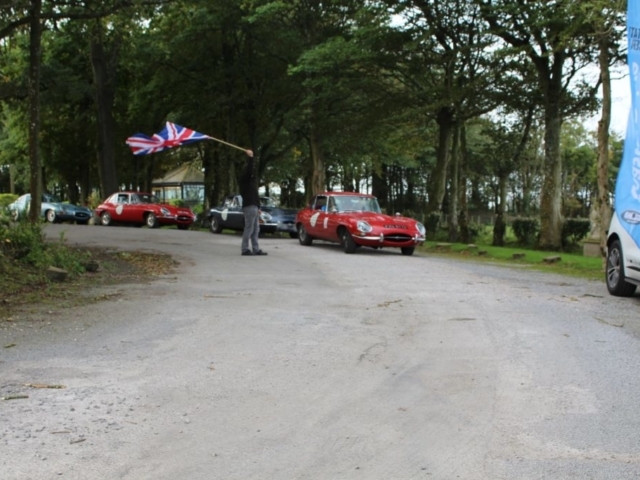 With the weather definitely not on our side and winds from storm Ali battering everything Andy arrived at the hotel to hand the car over to Art. 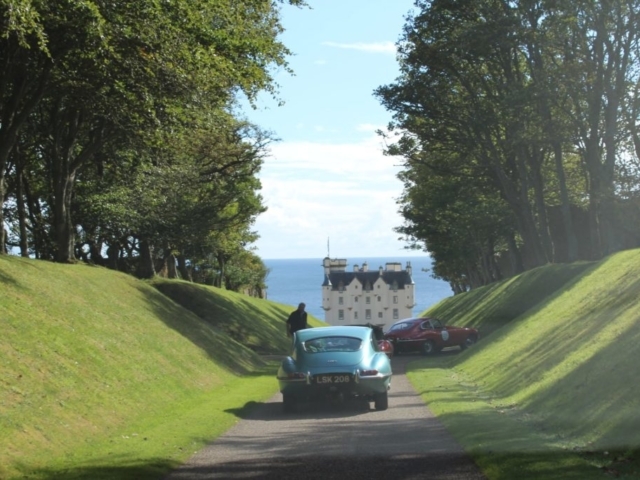 Then in absolutely crazy conditions they took the car for a test drive, which was much needed as Art had only spent 10 minutes in the car since he purchased it. 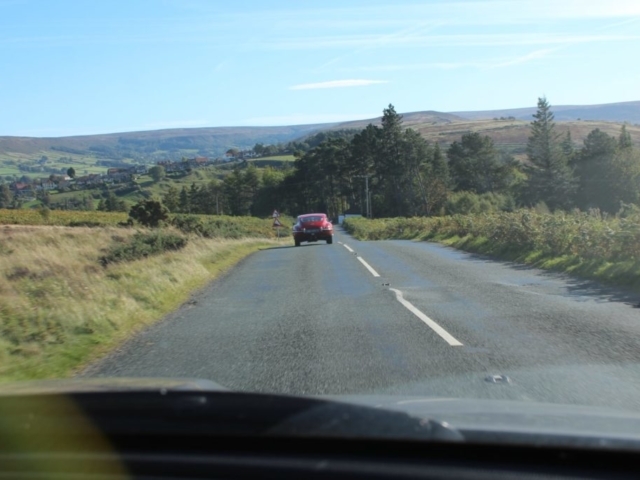 We avoided fallen trees and debris as we went to fuel up the vehicle and purchase some Rainx ready for the first stage of his tour, and by the time we returned he was happy and ready to get underway. 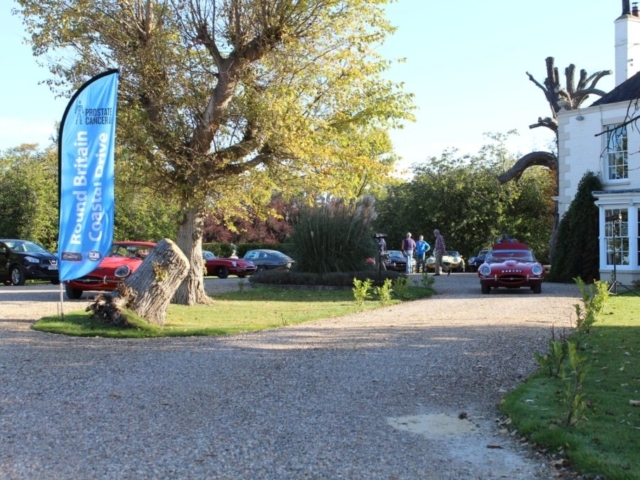 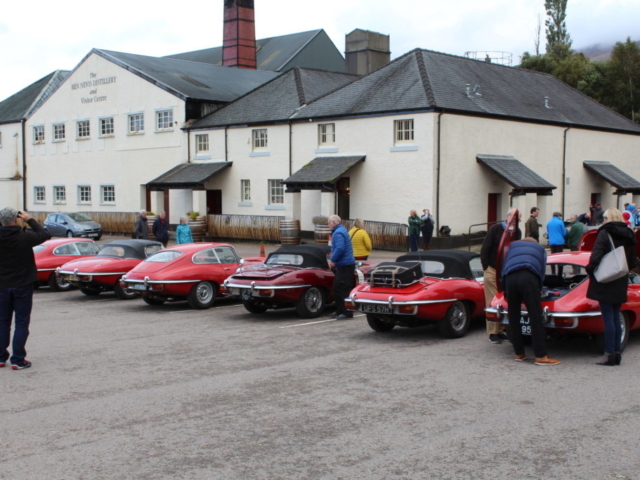 They completed a relaxing afternoon welcoming the drivers in from the days drive and chatting about the adventures of the day. 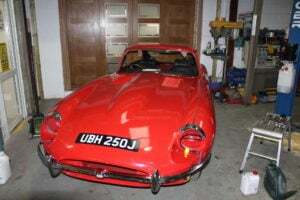 Around 5pm a very nice red Series 1 arrived with quite a worried owner who called Andy over and expressed his concern that he had no oil left in his car, Andy immediately checked the vehicle for signs of oil loss and not finding anything untoward proceeded to add 3 1/2 litres of oil to the vehicle and check it again for any loss. 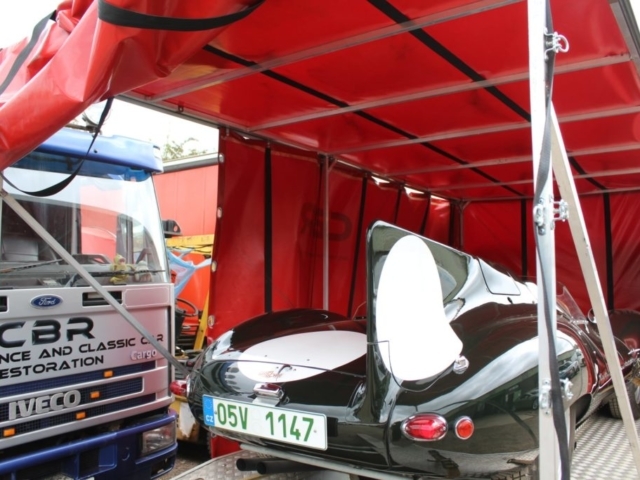 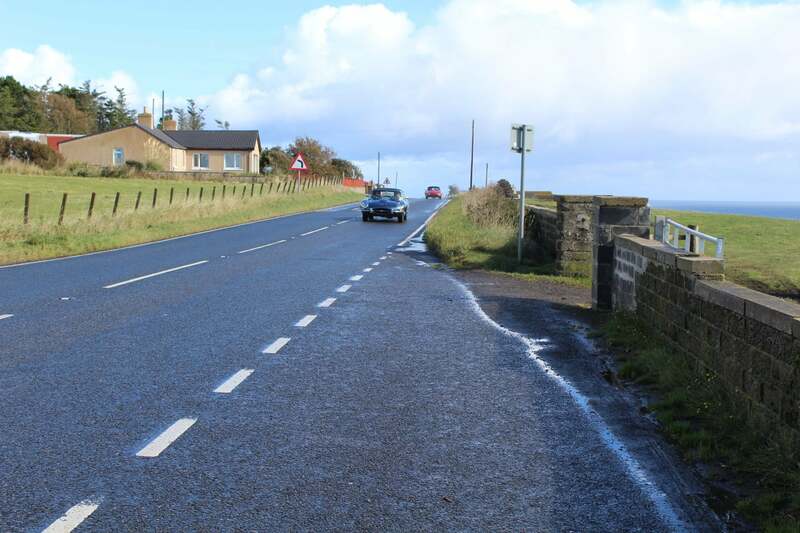 Andy checked it again the following morning before they set off and still there was no loss and again 4 days later all was fine so it was decided that actually there was not a problem and the oil must have been low to stat off with. 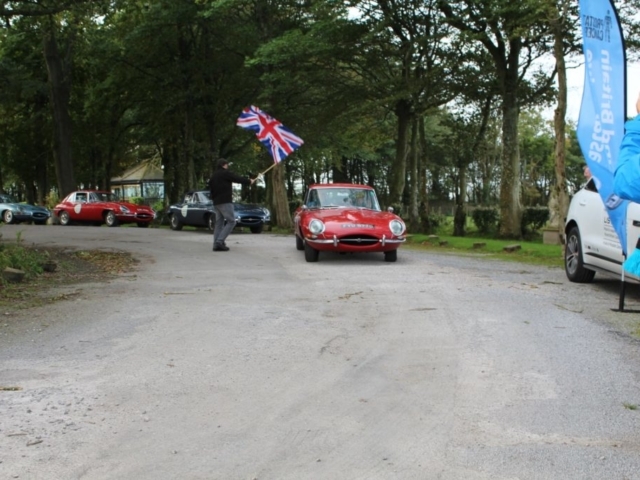 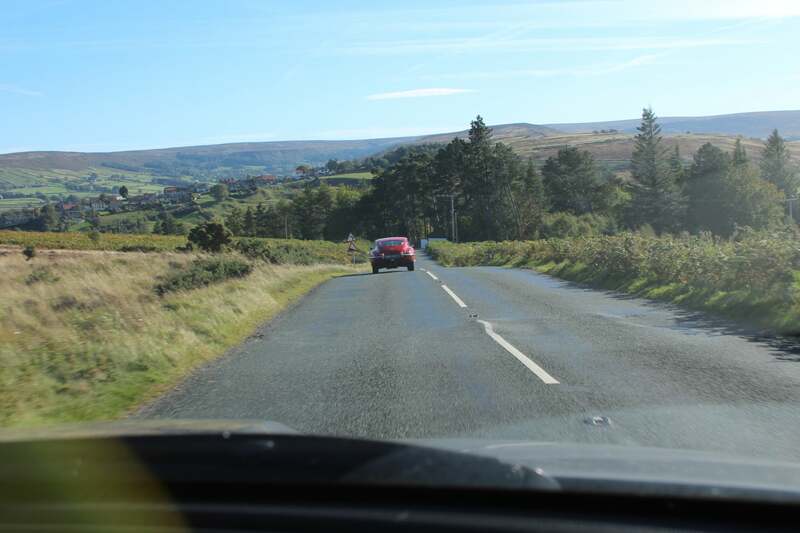 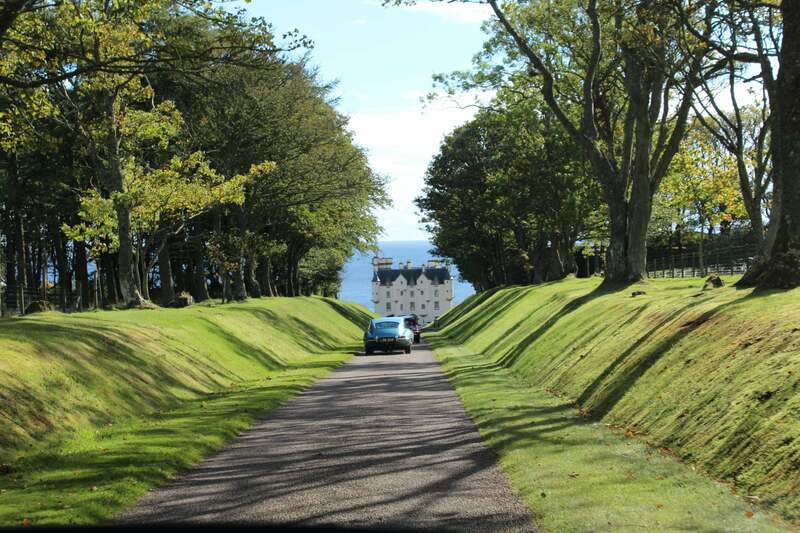 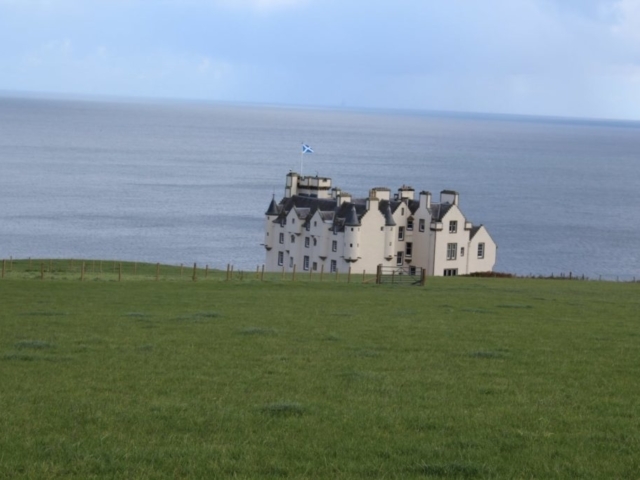 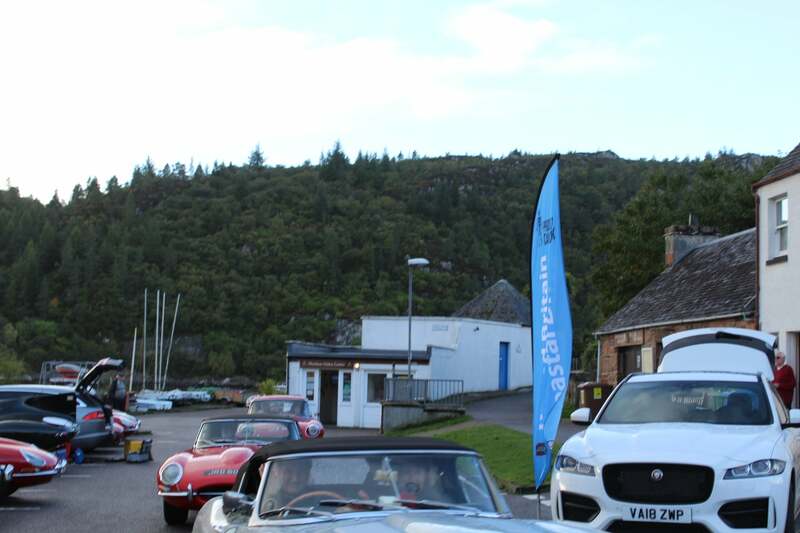 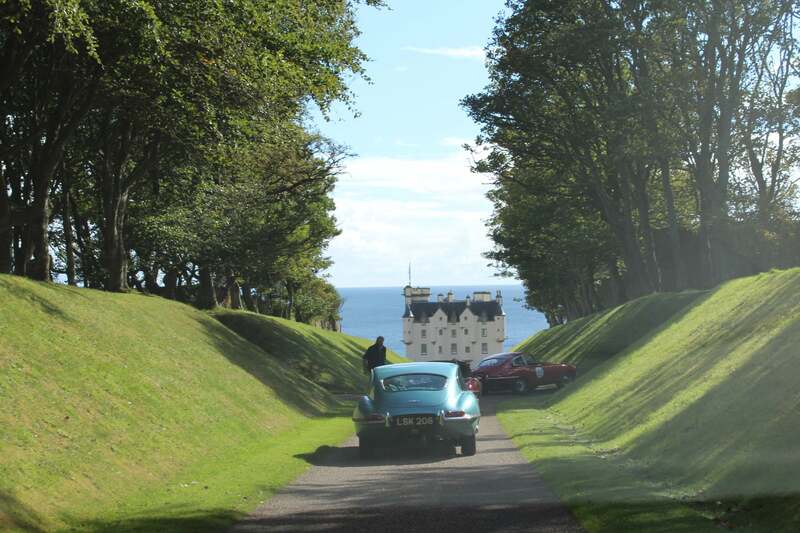 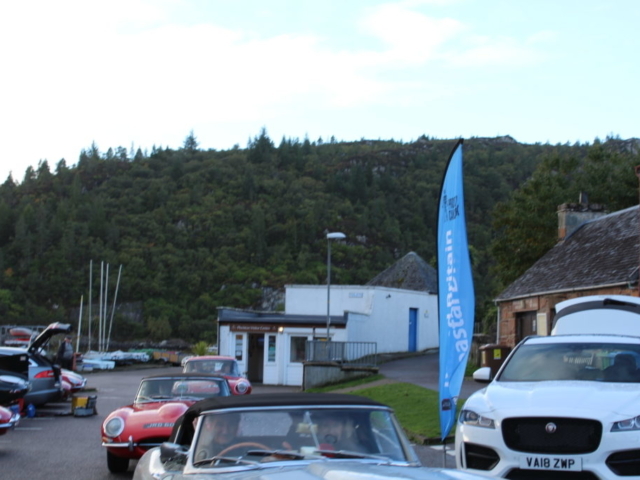 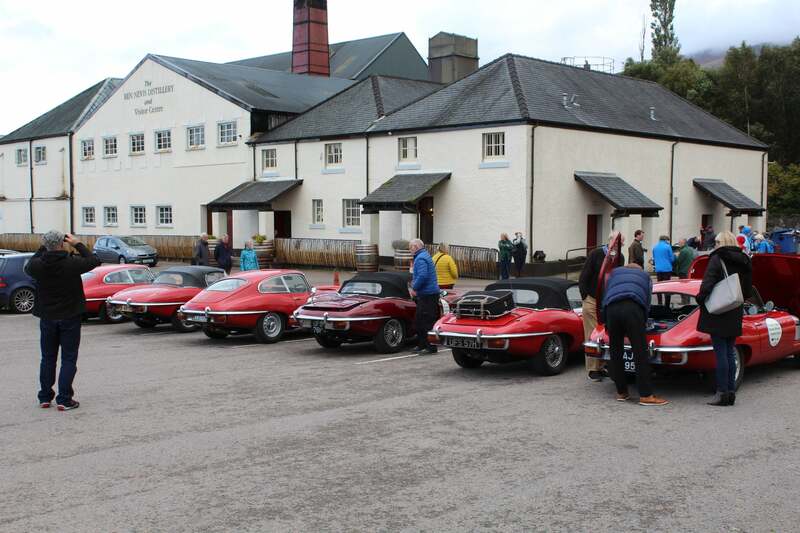 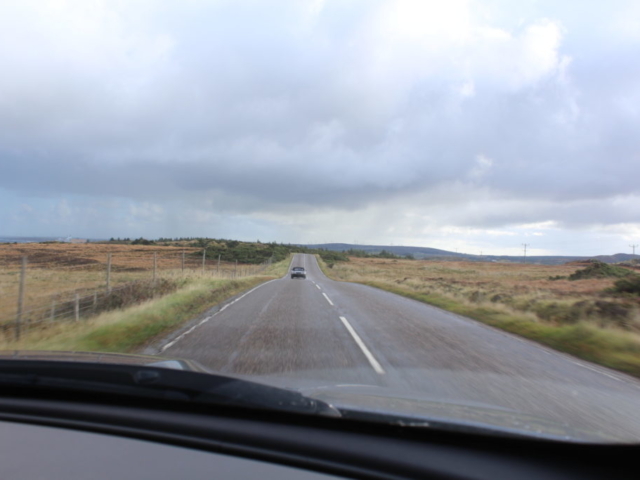 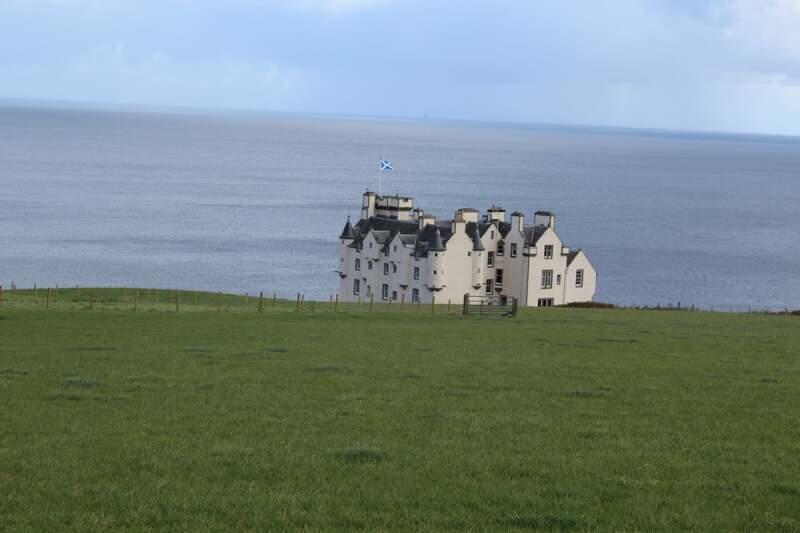 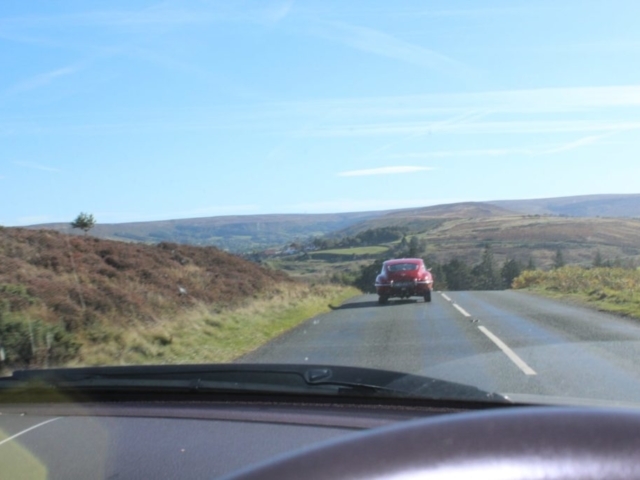 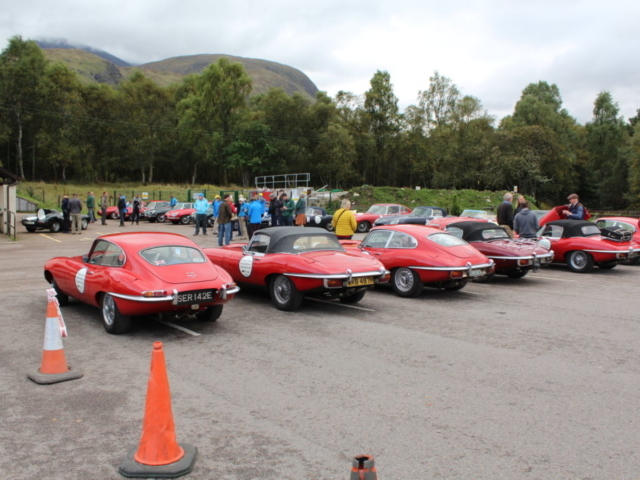 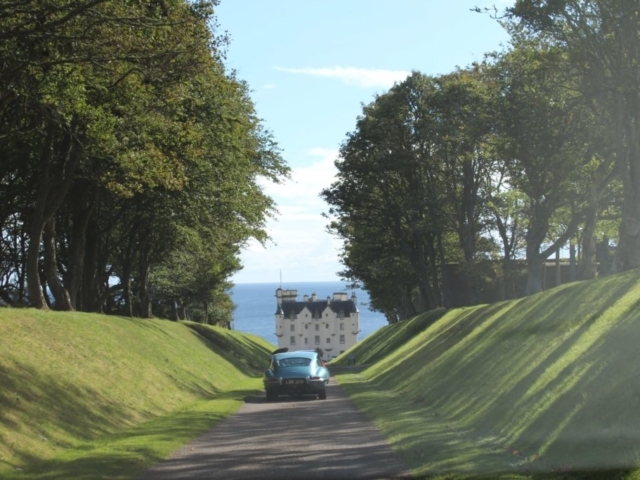 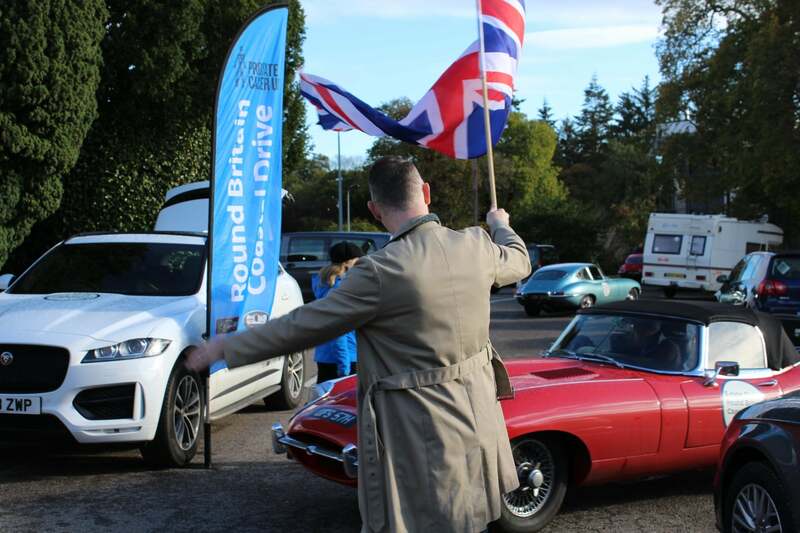 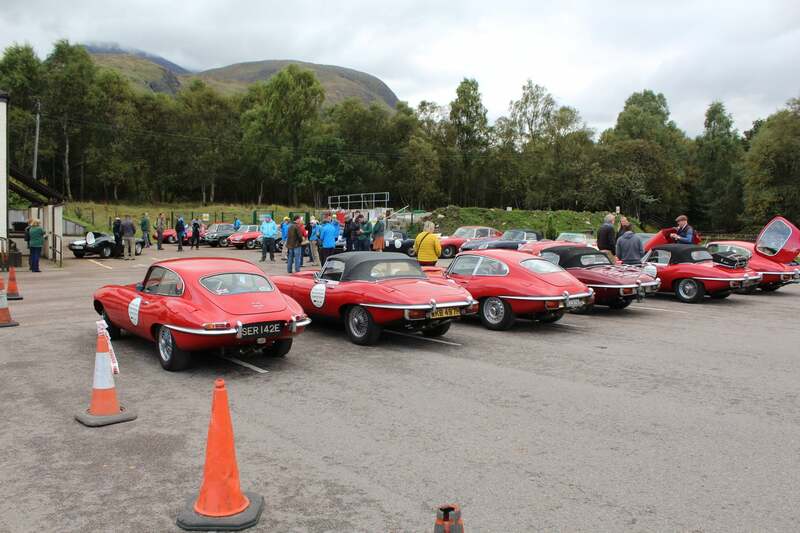 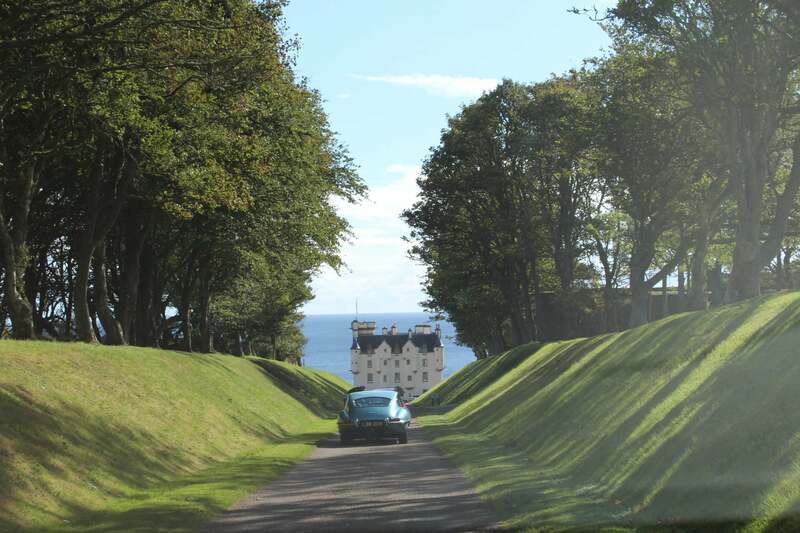 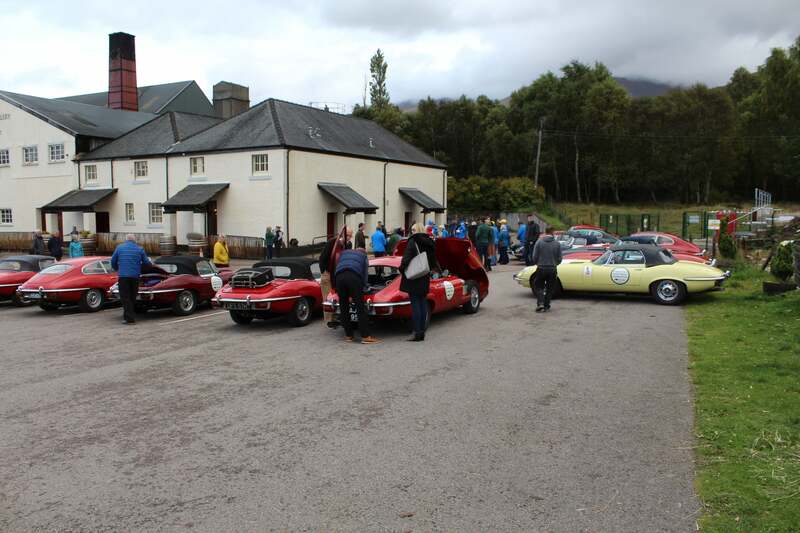 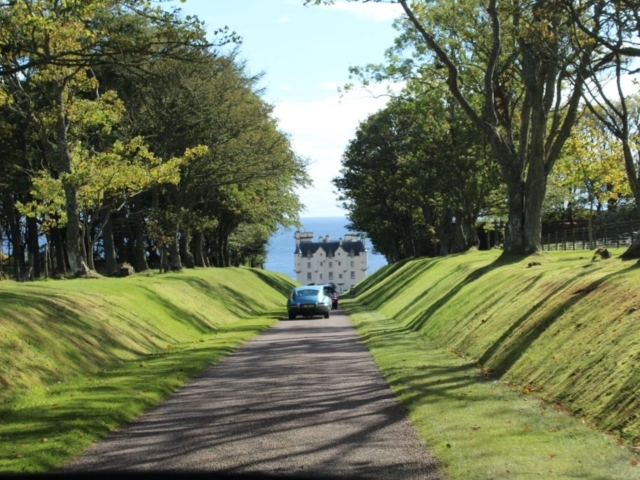 The next day was uneventful with the cars behaving and everyone enjoying the beautiful Scottish scenery then as Andy arrived at the Hotel on Thursday night a red eType (Reg number: 848 CRY from the 1960’s film ‘The Italian Job’) turned up making a strange grinding sound. 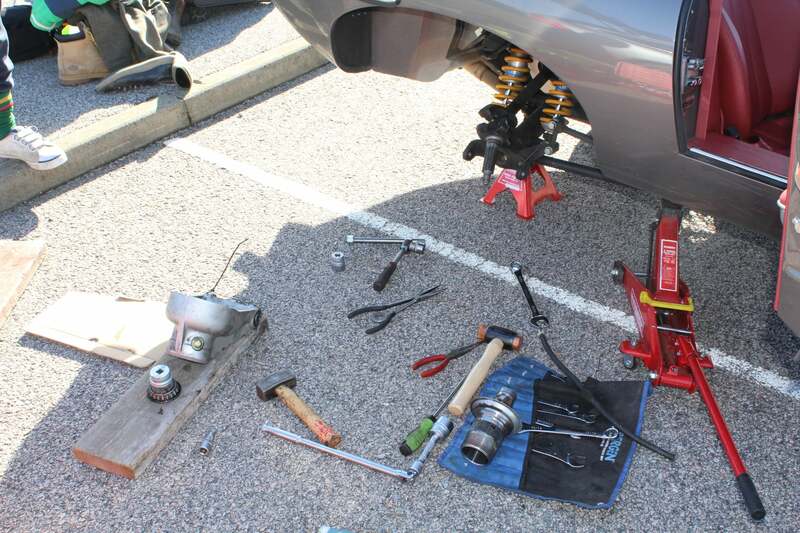 There were obvious concerns about cam chains etc but after a thorough investigation Andy found the problem to be a worn edge on a dynamo fan pulley and elongated fan plate, with a bit of imagination and skill Andy managed to fix the problem with some fibre washers and get the car ready for the next stage. 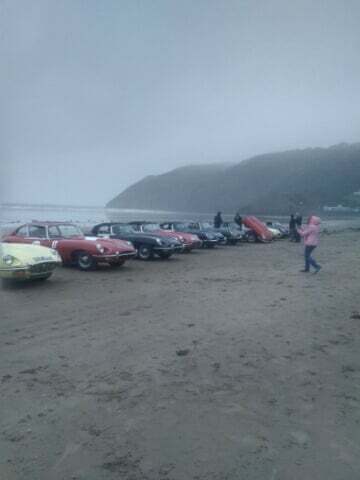 Friday it all changed, as the old saying goes ‘what a difference a day makes’ there seemed to be issues popping up constantly, luckily a fair proportion of them were minor and easily fixed but some of the larger ones included, ‘A lot’ of water in the fuel system and loss of oil pressure. 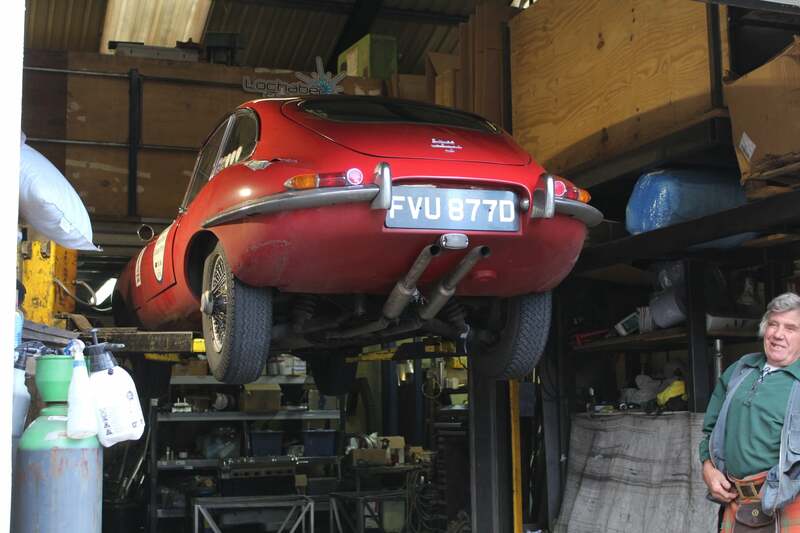 The latter was diagnosed as a faulty sensor and dynamo bearing issue.Andy would personally like to thank Jimmy and the team for letting him use their ramp at lunch time to drain the fuel system and remove the water from the other struggling car. 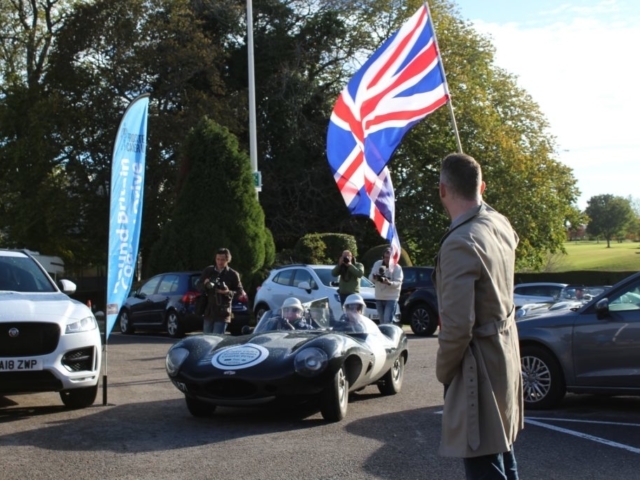 The afternoon continued to test Andy’s resolve but they all made it to the hotel that evening and a blue Series 1 was sporting 3 batteries on board to keep it running due to a problem with the alternator. 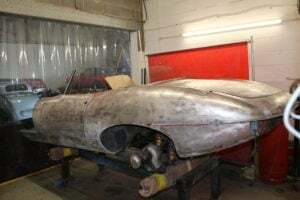 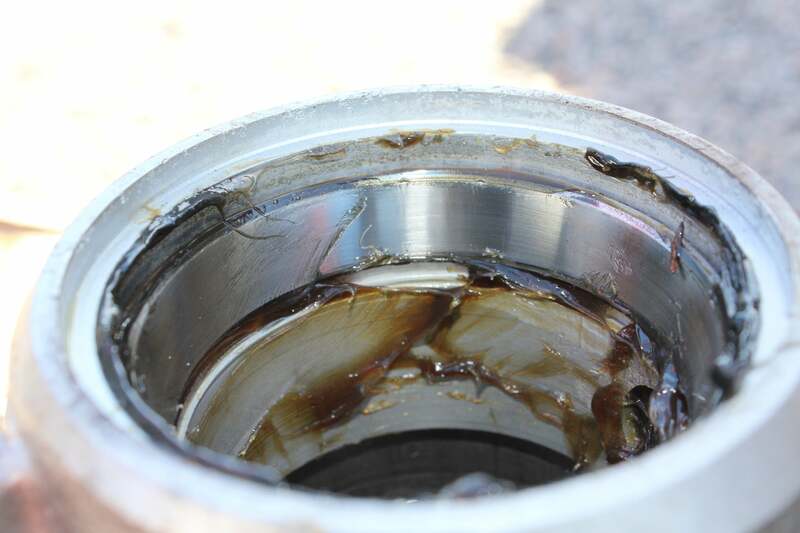 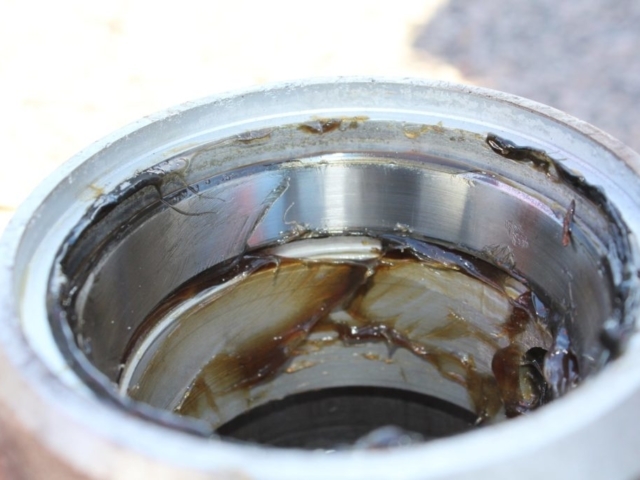 Saturday saw a clutch slave cylinder fail on the D-Type and Andy’s worst fears were realised when even after removing the gearbox the design would not allow it to be removed without a complete strip down. 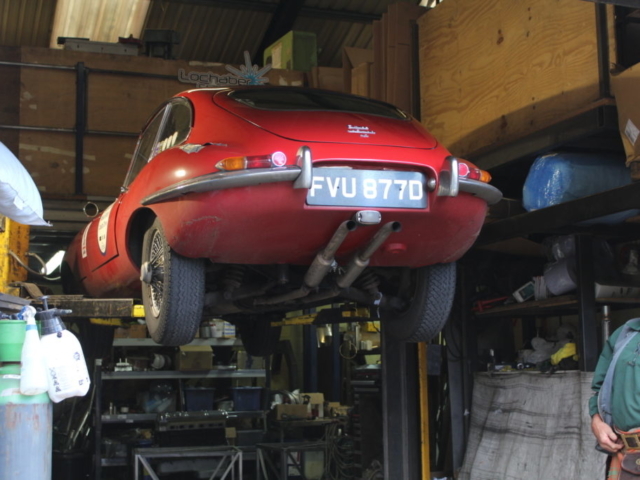 So that what he did and eventually go it working again. 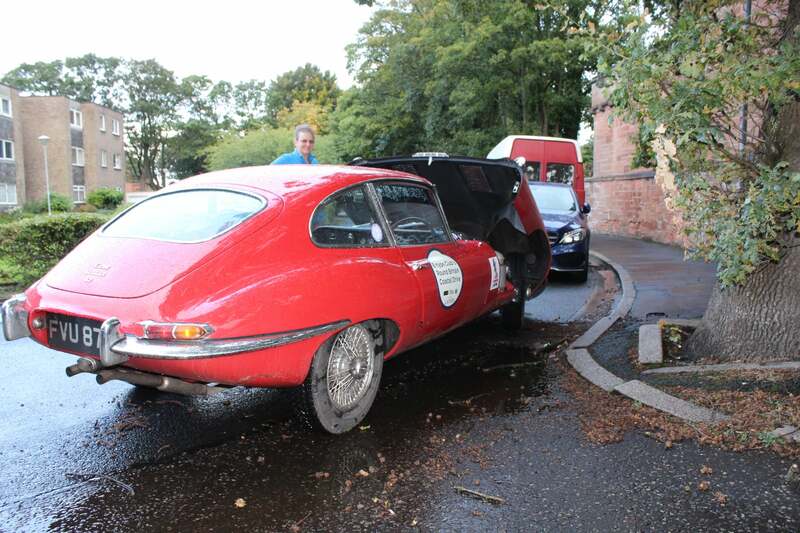 With cleaned parts and new rubbers and seals the D-Type rejoined the tour without losing any time. 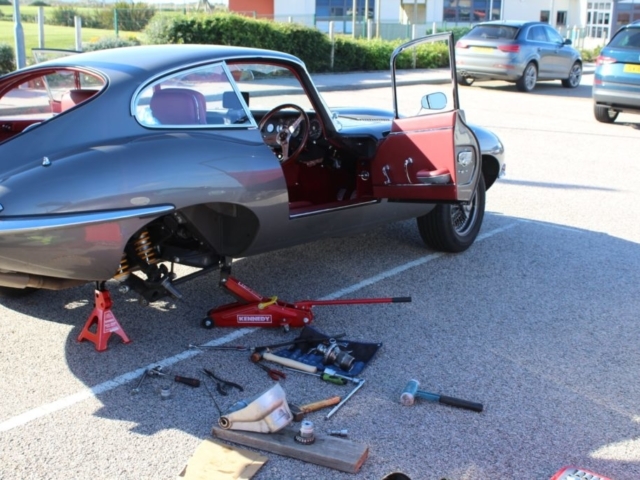 shortly after that whilst Andy is getting some breakfast on the move a very nice series 2 stops charging, after catching up with them volt meter testing revealed the problem to be electrical in the wiring. 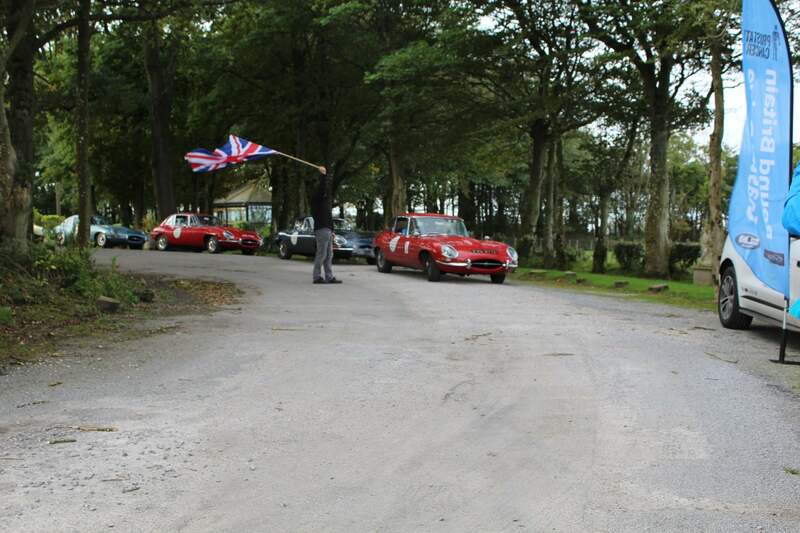 Andy soon fixed the issue and they were off again to rejoin the tour meeting at the hotel that night without any further issues. 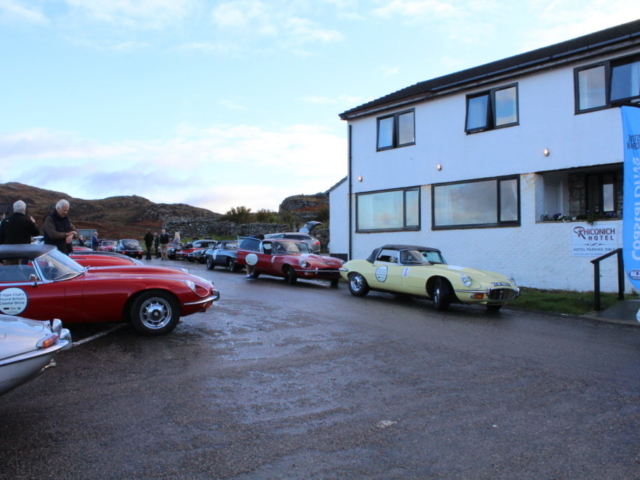 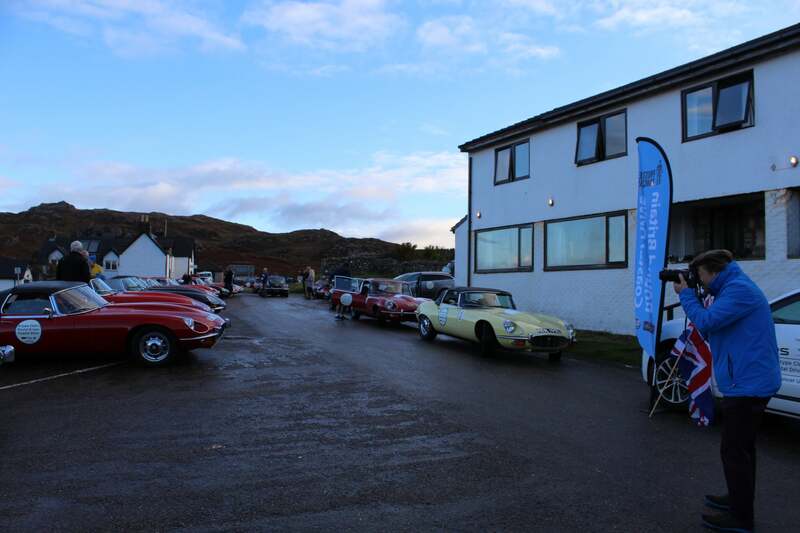 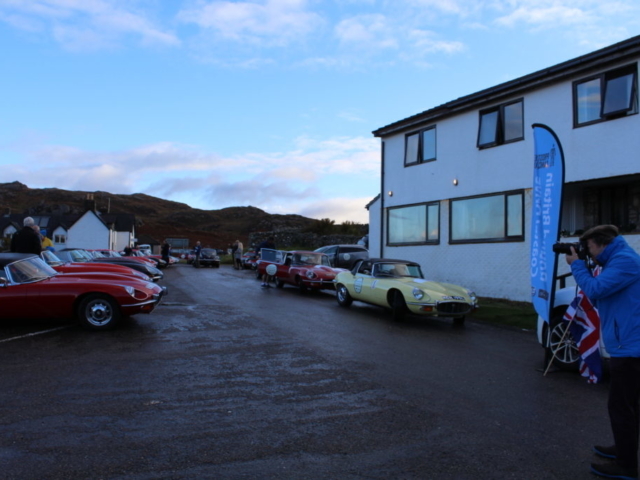 Sunday started at 6.30am for Andy as he had to catch up with the tour at the main hotel, following a very pleasant jaunt through the highlands being watched by stags and deer at every corner Andy arrived at the hotel to be greeted by a few minor issues and the day went well until a red series 2 master clutch cylinder failed.Andy got a real good workout getting the clevis pin out from under the dash to allow him to replace the cylinder and then more fun and games getting it all back together again. 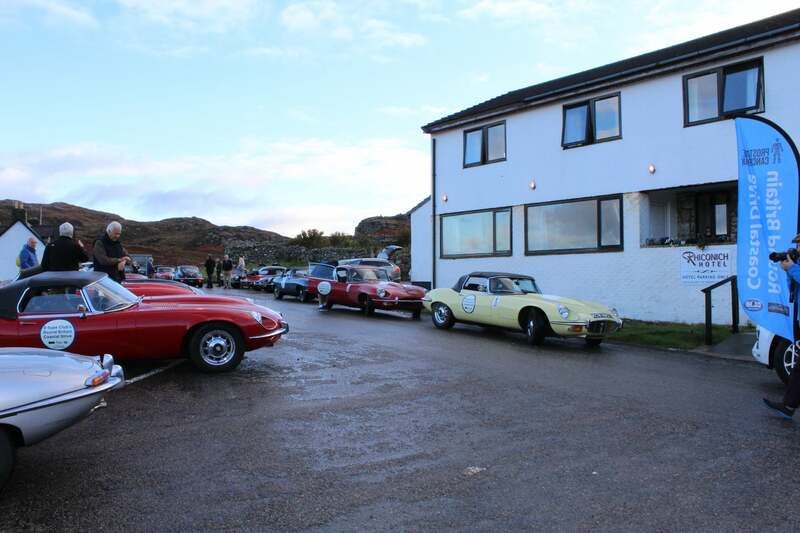 luckily though they all made it to the hotel in time for tea. 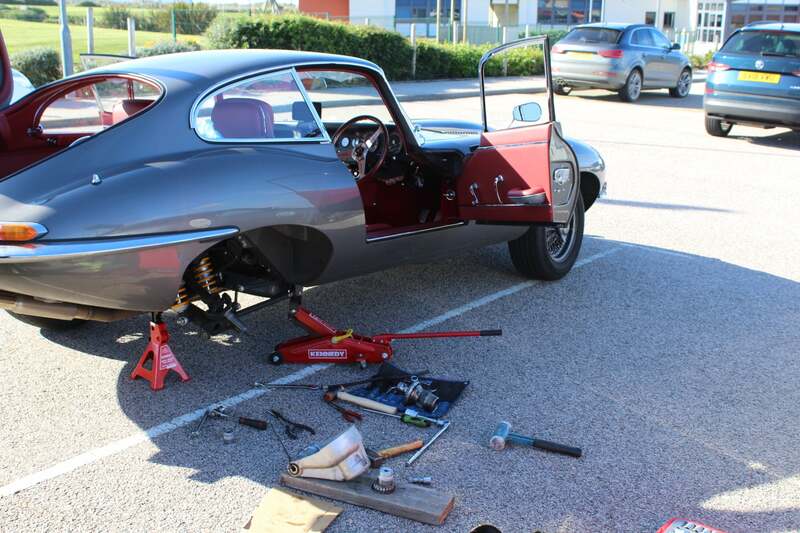 Monday was a very relaxed start not leaving until 9.30am and turned out to be a not too busy day, firstly we had a tyre change on one vehicle and then we had a rear wheel bearing fail on a very nice, recently restored series 1. 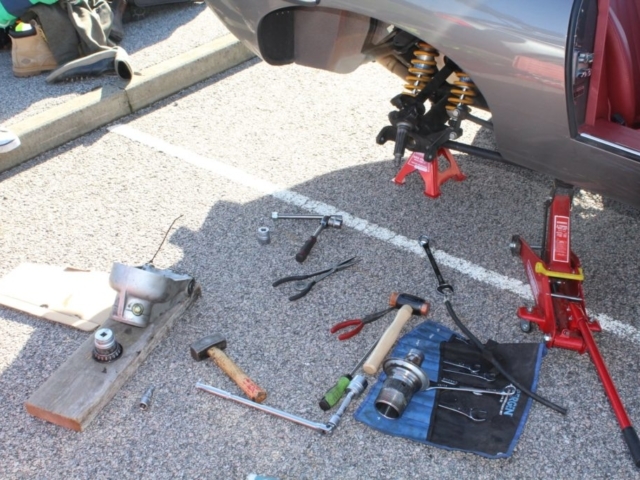 After finding a school car park to be able to get to work on the car Andy struggled to find all the equipment he needed o change the bearing over but after a bit of persuasion with bare hands Andy and the co-driver managed to get the part replaced and the car back on the road again. 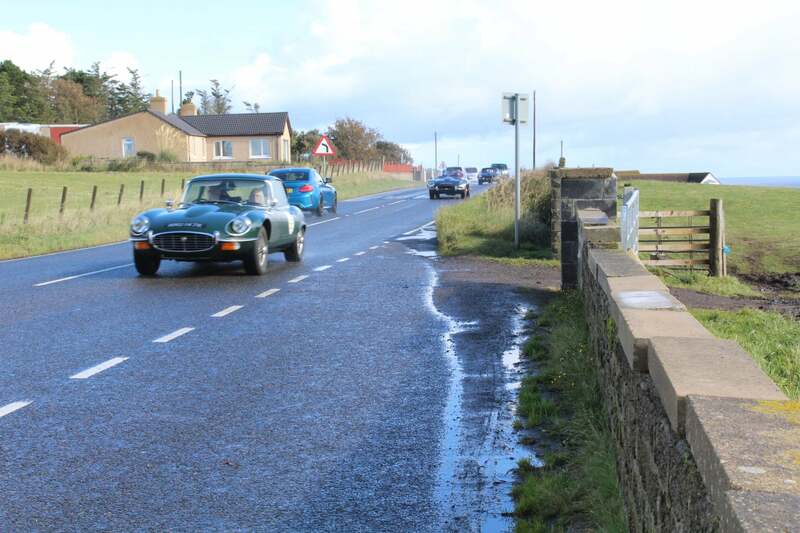 Tuesday brought a few false alarms from a blue series 1 that was having intermittent issues, every time it decided to play up it would be in the most inconvenient of places, Andy would receive a call and set off in pursuit only to receive another call telling him the problem was sorted and the car was back on the road. 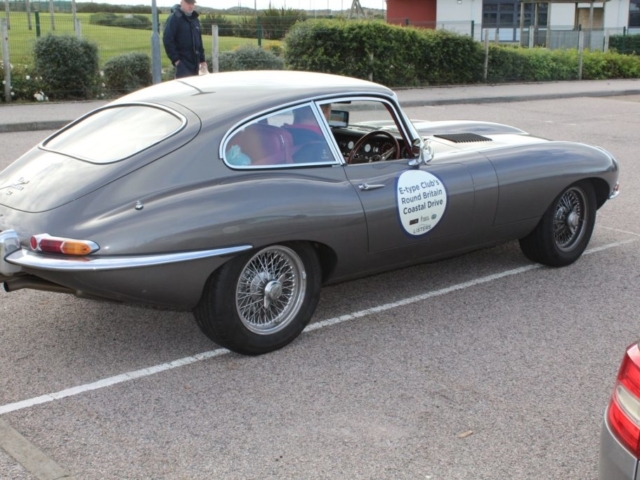 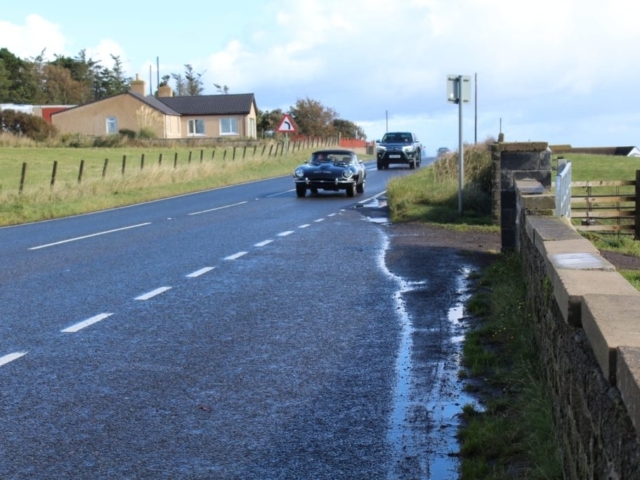 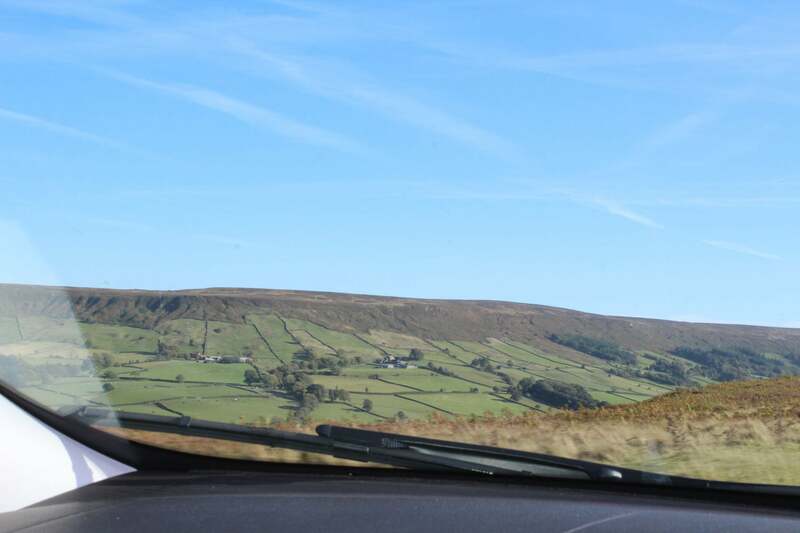 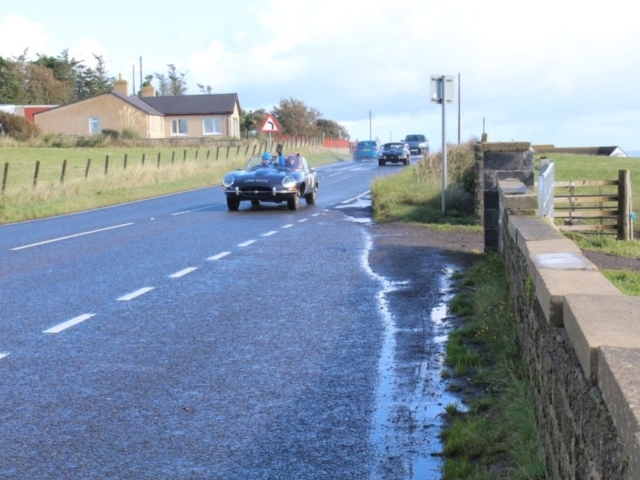 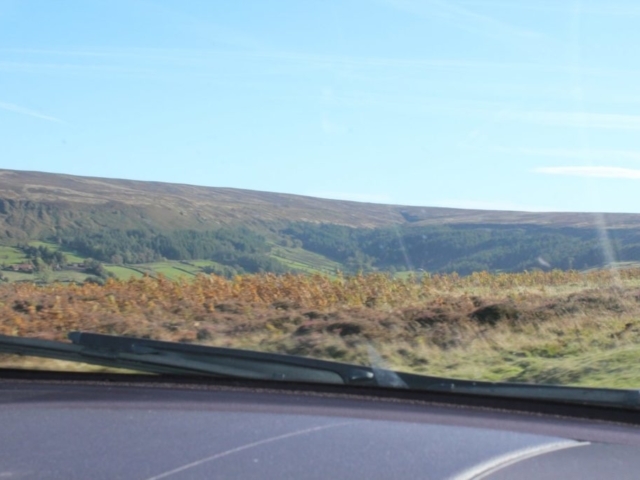 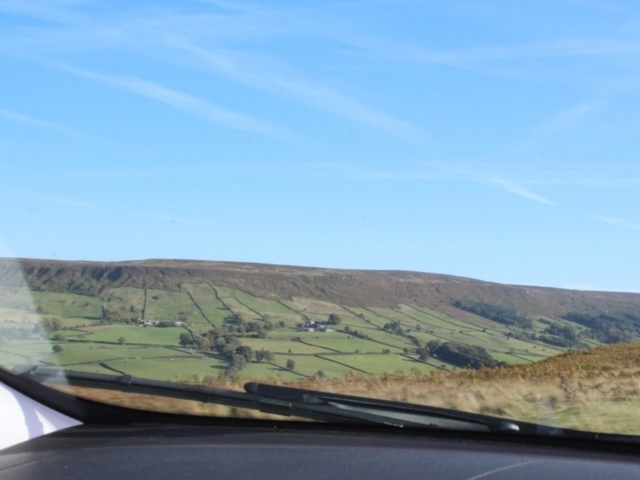 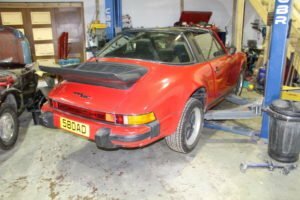 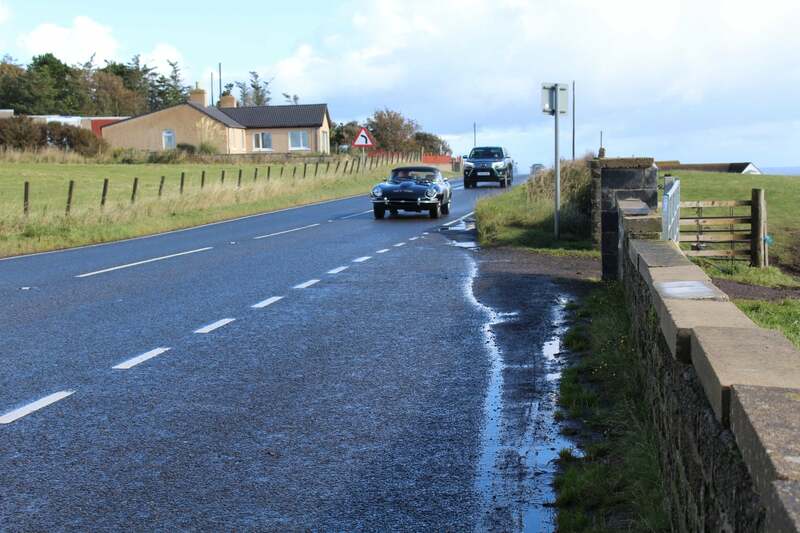 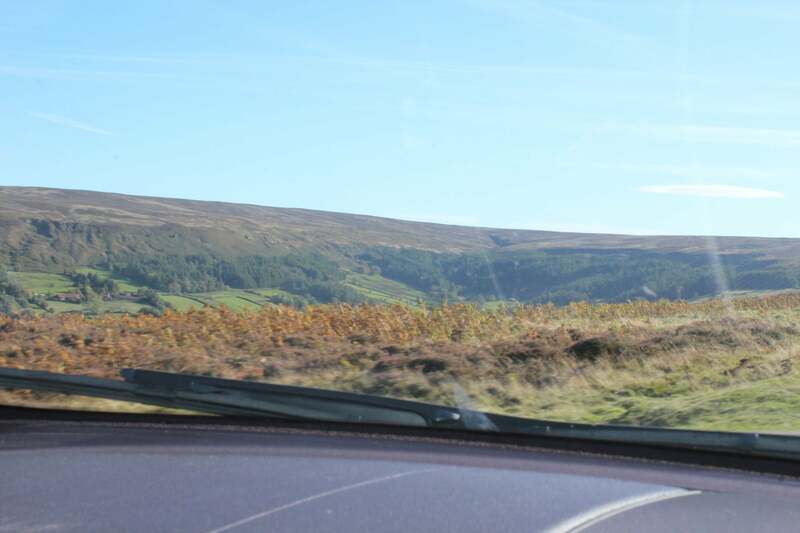 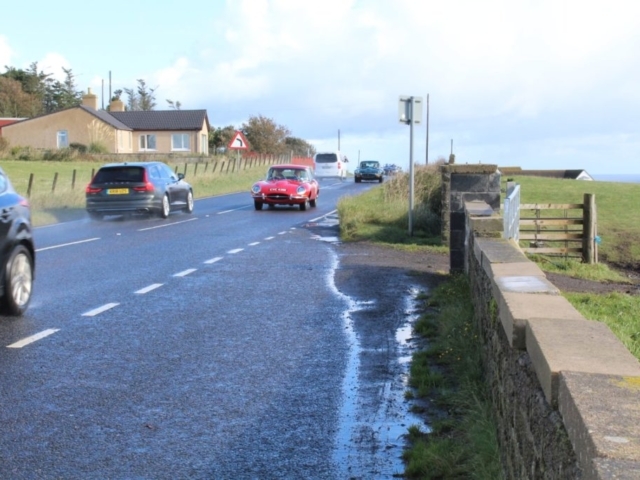 later that morning Andy also received a thank you text from the owner of the Series 1 who had wheel bearing issues on Monday telling him that the car had now done 556 miles without any further issues and he was extremely happy with the outcome. 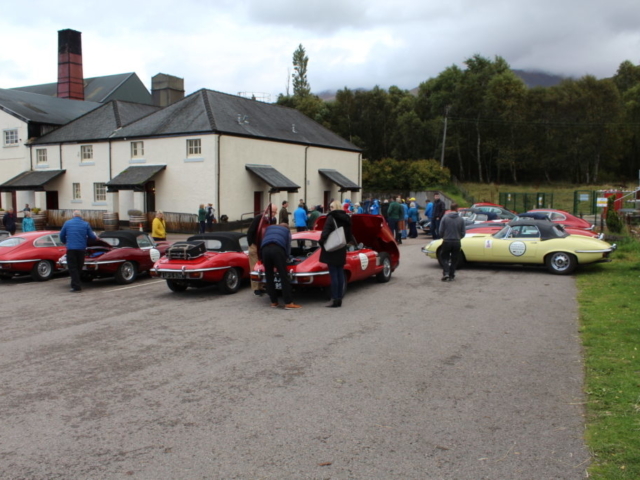 Thursday morning was again very relaxed everyone making it through to the lunch break without any issues, however as with every other day the afternoon session brought the first problem of the day. 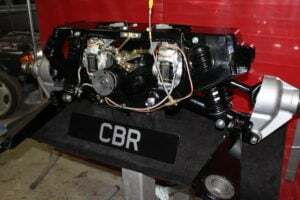 A series 1 has its breaks locked on, it also transpired that it was an intermittent problem the owner had been experiencing for over 2 years, several companies had tried to find the problem replacing numerous parts over the period however none of them had managed to rectify the problem. 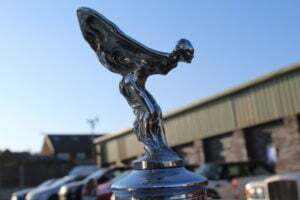 After investigation Andy managed to find the offending part and the owner has asked him to write a more detailed report on this issue for others to read which he has agreed to do at a later date. 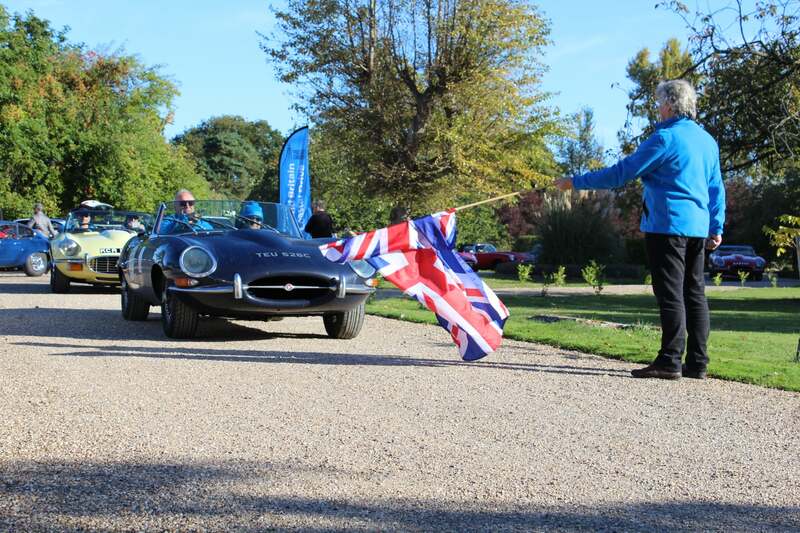 Friday brought the end of Andy’s cover as Peter Stant returned to take over. 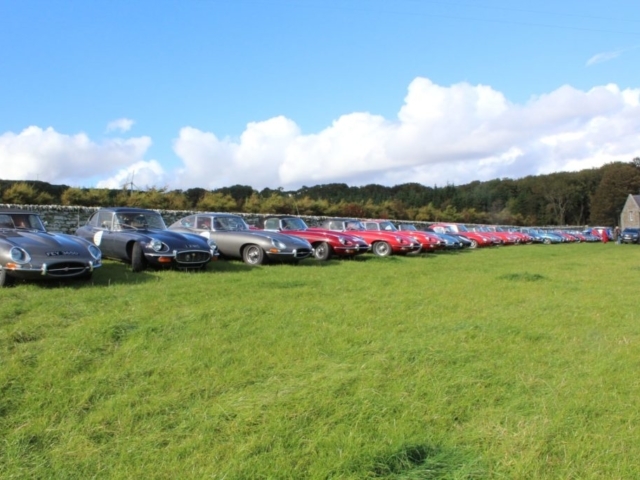 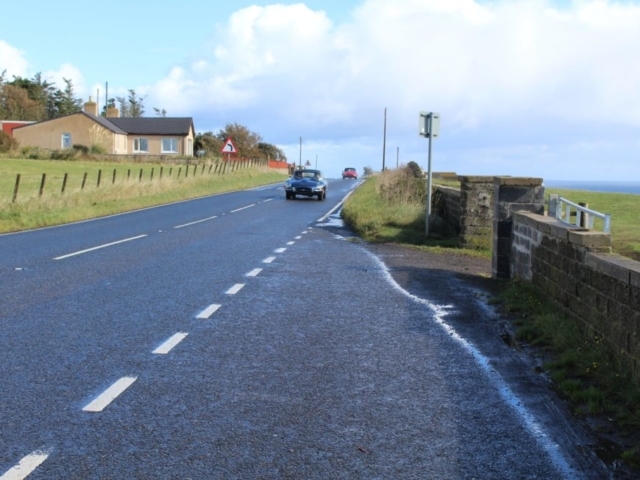 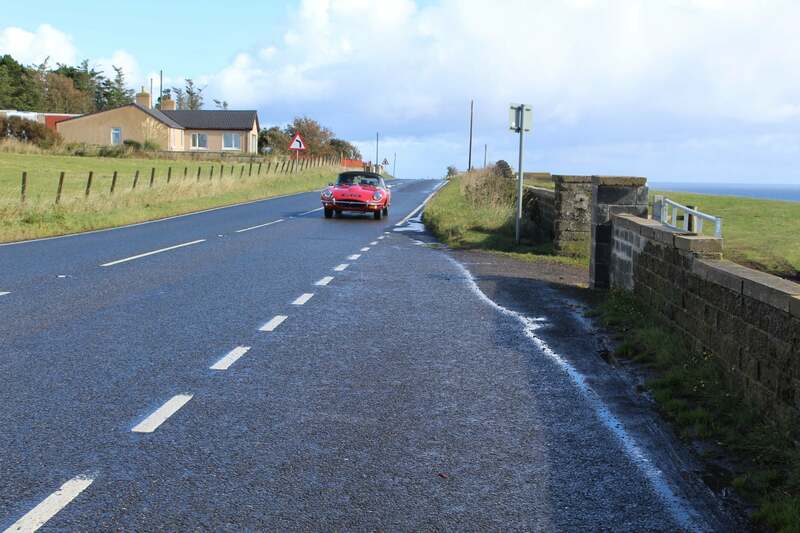 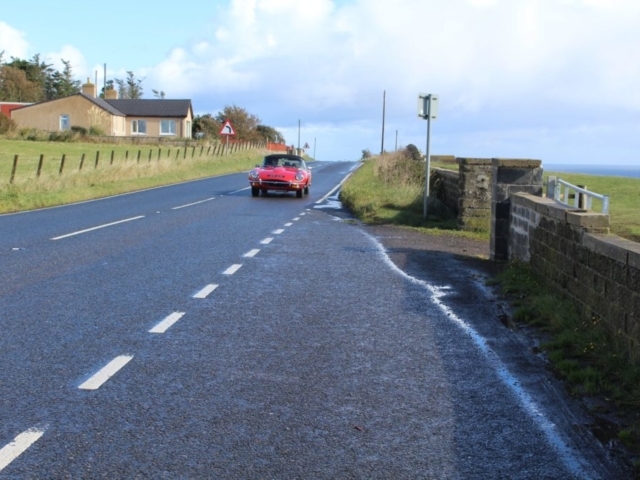 Andy left with the satisfaction that all of his ‘flock’ reached their intended destination under their own steam (In some cases running better than when they started) and they had raised just over £31,500.00 with 8 days to go. 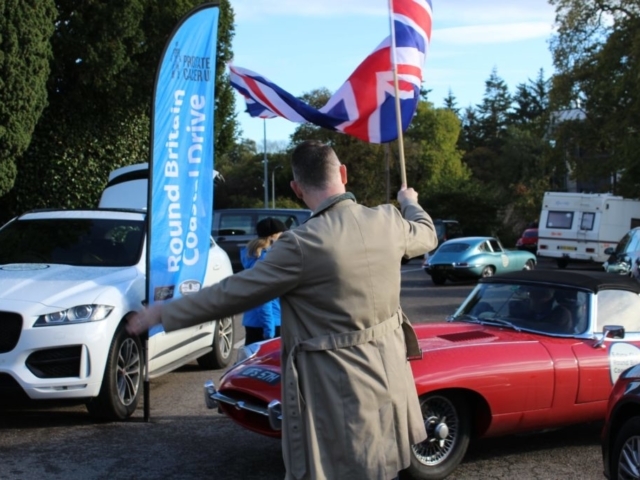 Andy has donated his time to the tour free of charge and met a lot of friendly people along the way who were all giving their time and money to this great charitable cause.